Kazakhstan 2008. 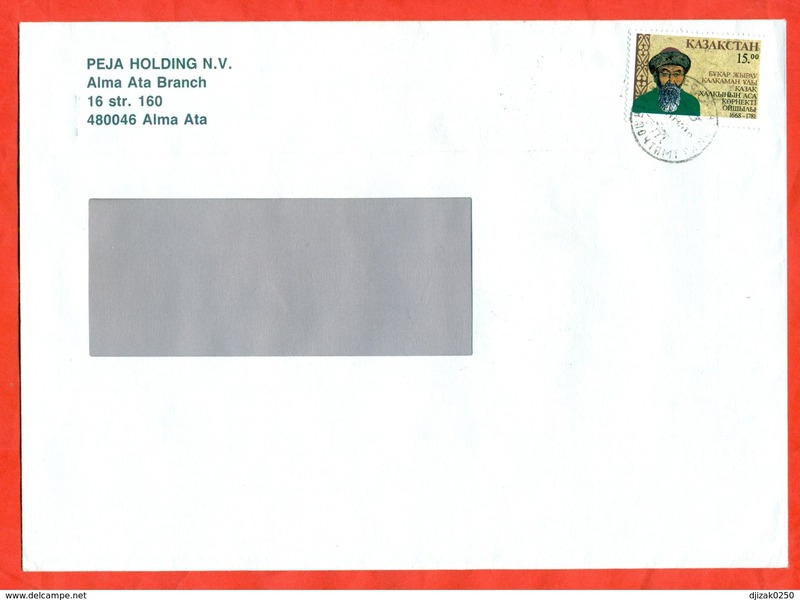 Registered envelope past mail. 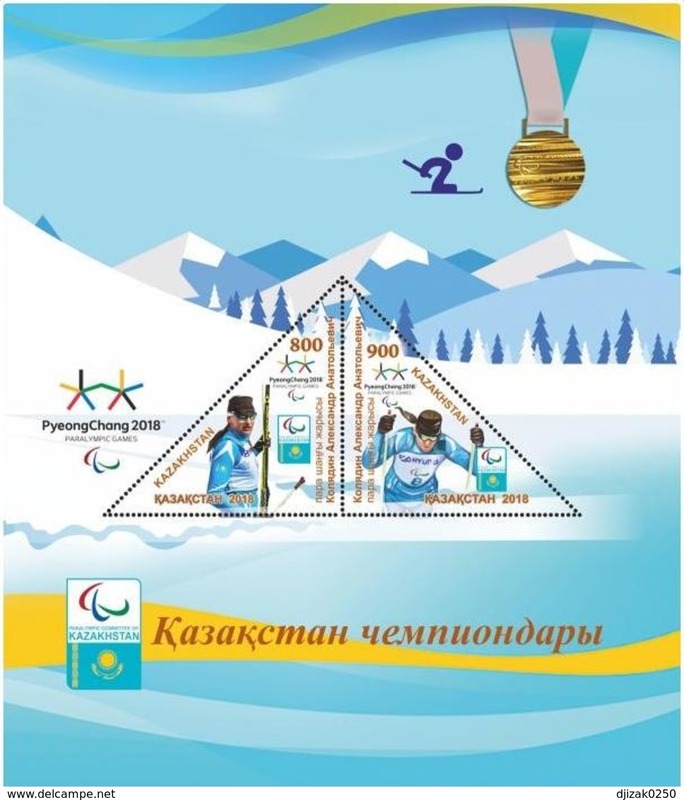 Kazakhstan 2019. 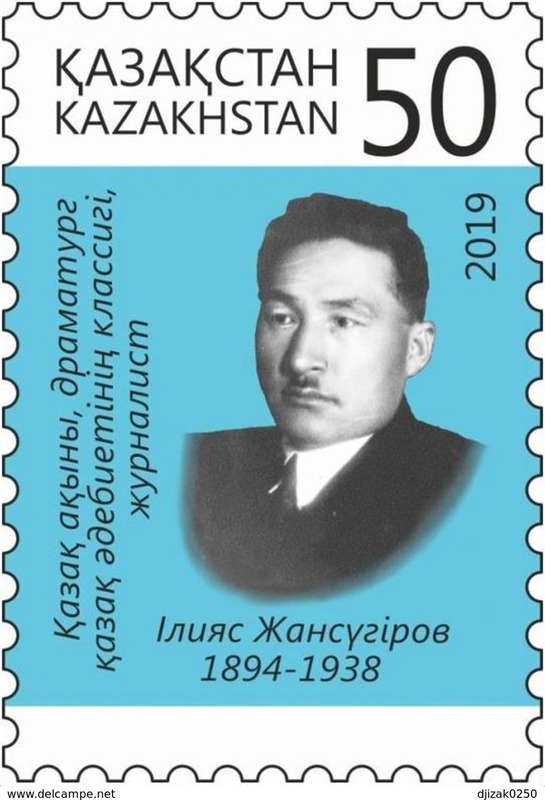 Kazakh writer and playwright I.Jansugurov. 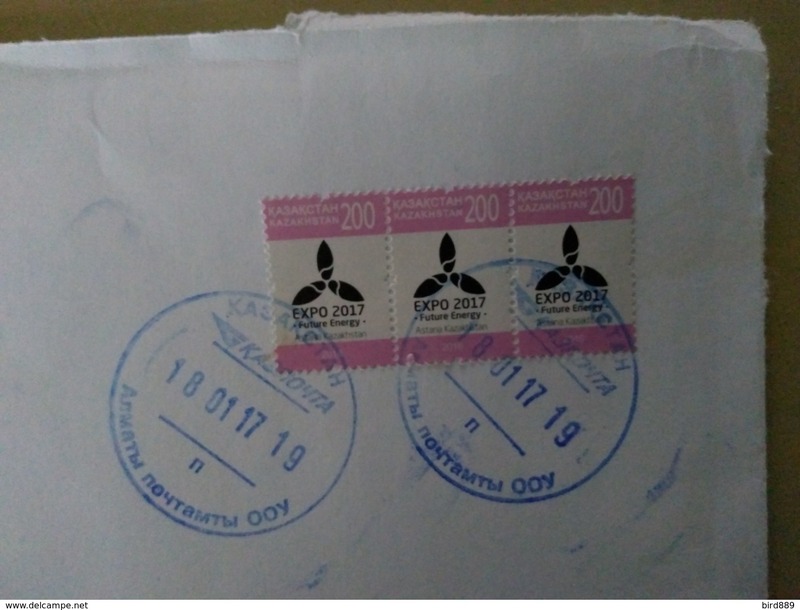 Unused stamp. New!! Kazakhstan 2019. 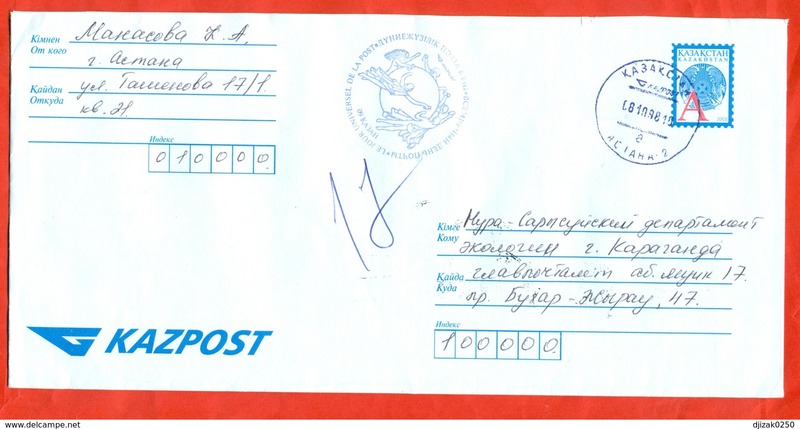 Registered envelope past the mail. Kazakhstan 2019. 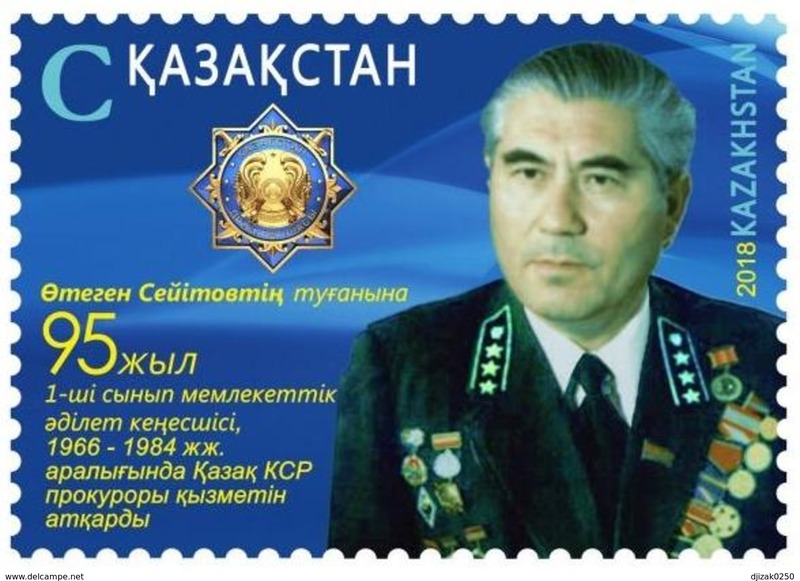 Aiteke biy is a great orator and political figure of the Kazakhs. One stamp. New!!! 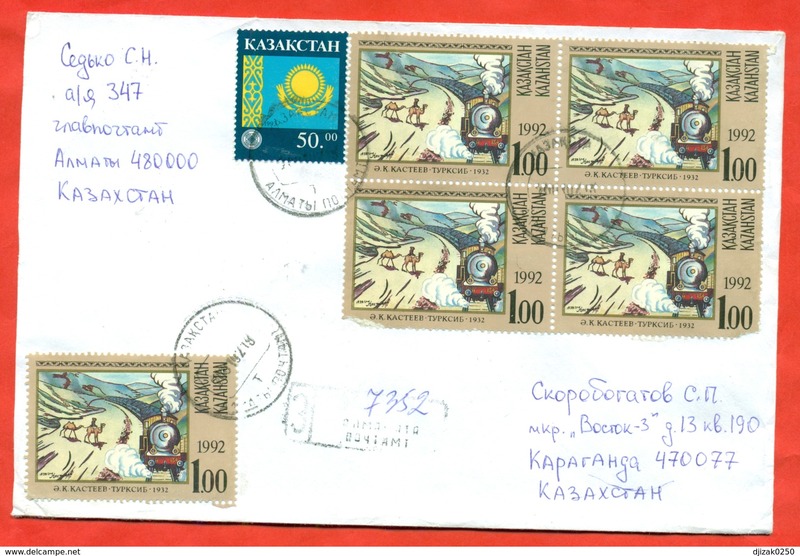 Kazakhstan 1999.Block.125 years of UPU. Kazakhstan 2018. 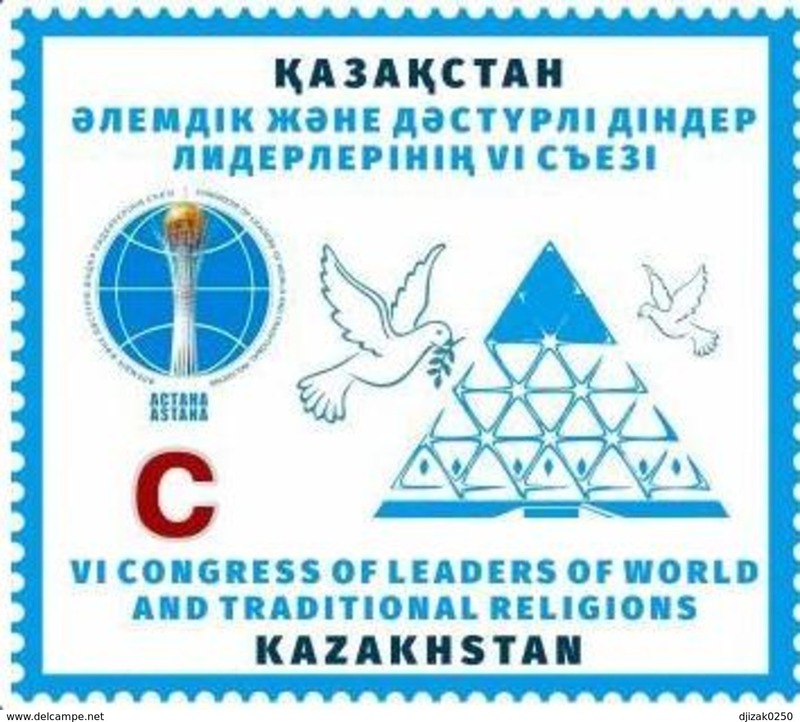 VI Congress of World Religions.One stamp. New!!! 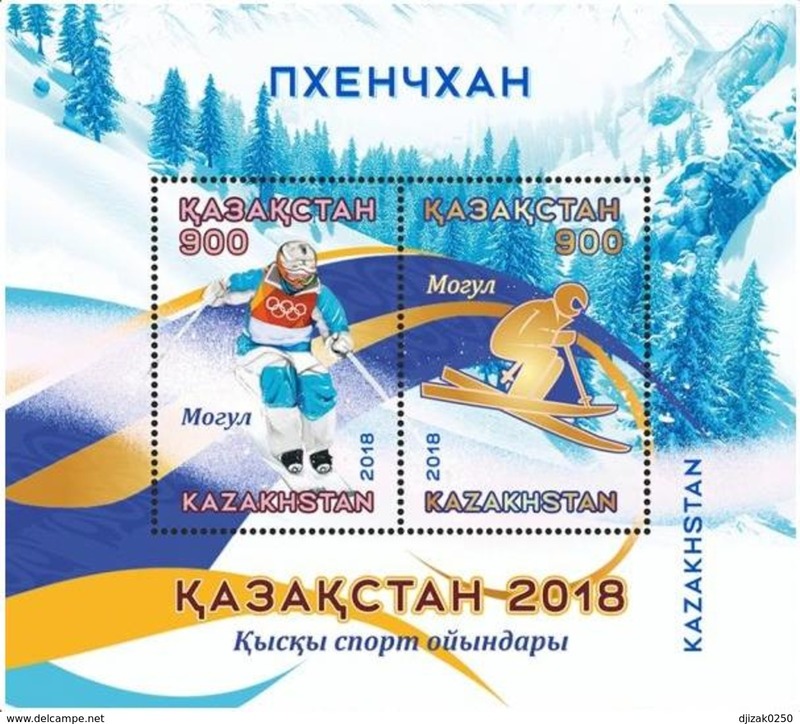 Kazakhstan 2019. Registered envelope passed the mail. Kazakhstan 2018. Altynsarin. 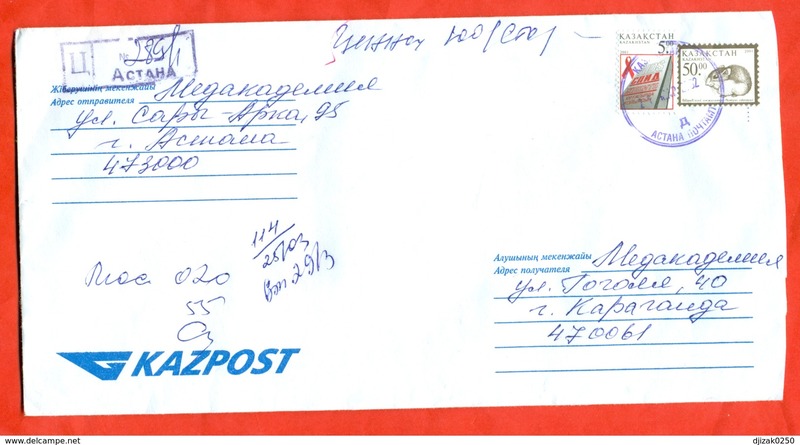 The envelope past the mail. 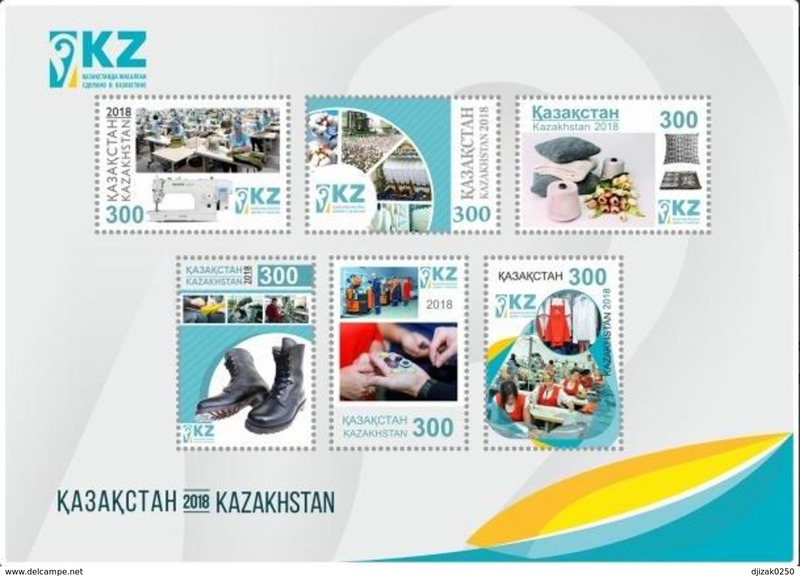 Kazakhstan 2019. Registered envelope is really past mail. 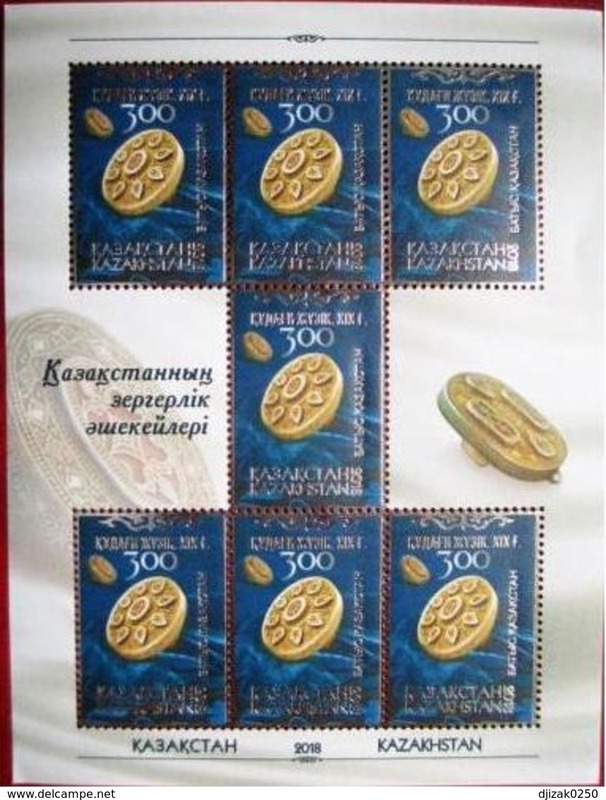 Kazakhstan 2005.10 years of the Constitution of Kazakhstan.Used stamps. Kazakhstan 2018.Tianshan brown copper. Two series of standard brands.NEW!!! 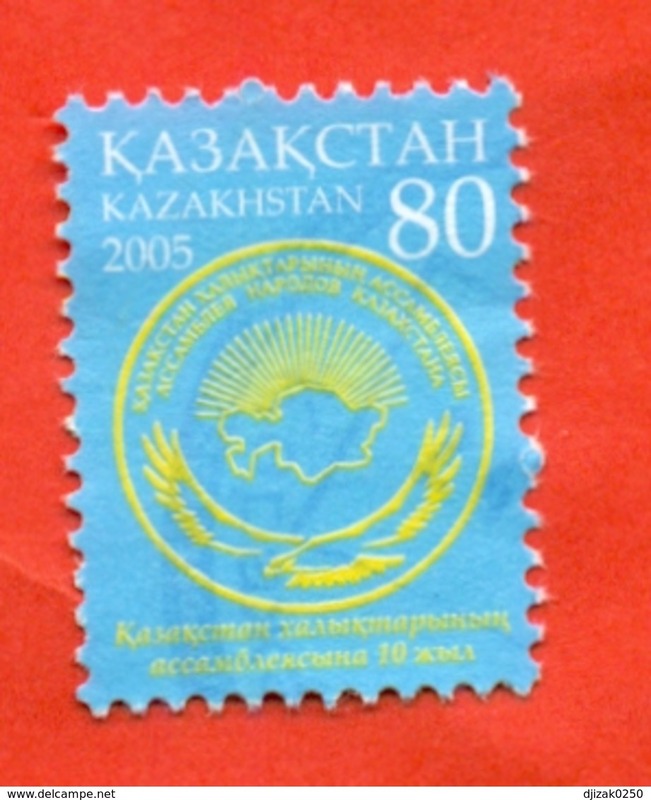 Kazakhstan 2006. 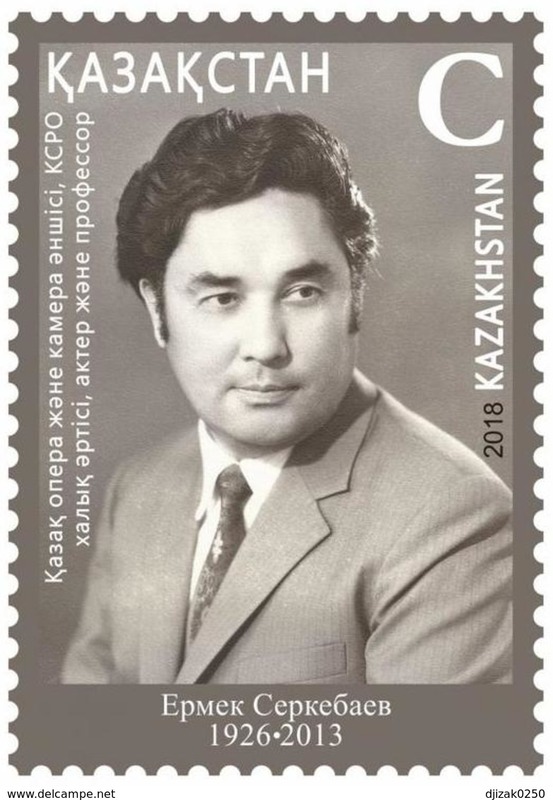 Kazakh scientist, academician Kozybayev. 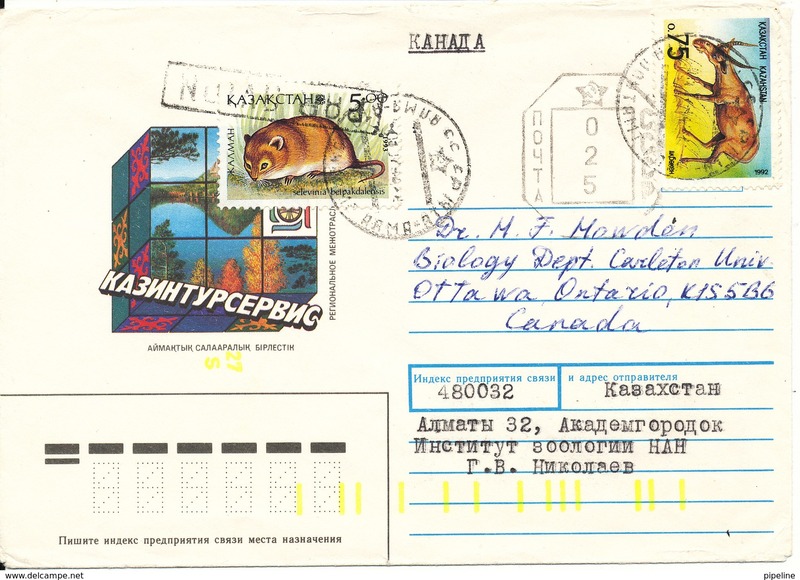 Used stamps. Kazakhstan 2018. Full sheet. President of Kazakhstan N. Nazarbayev. Kazakhstan is a member of the UN Security Counsil. 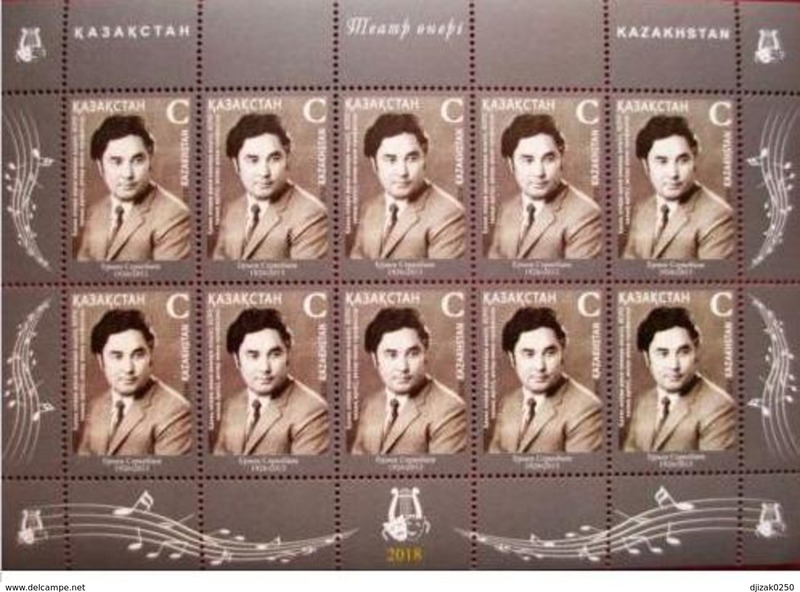 Kazakhstan 2018.Kazakh opera singer E Serkebayev. Small sheet. Kazakhstan 2018. Fura.The delivery is paid. Envelope new. 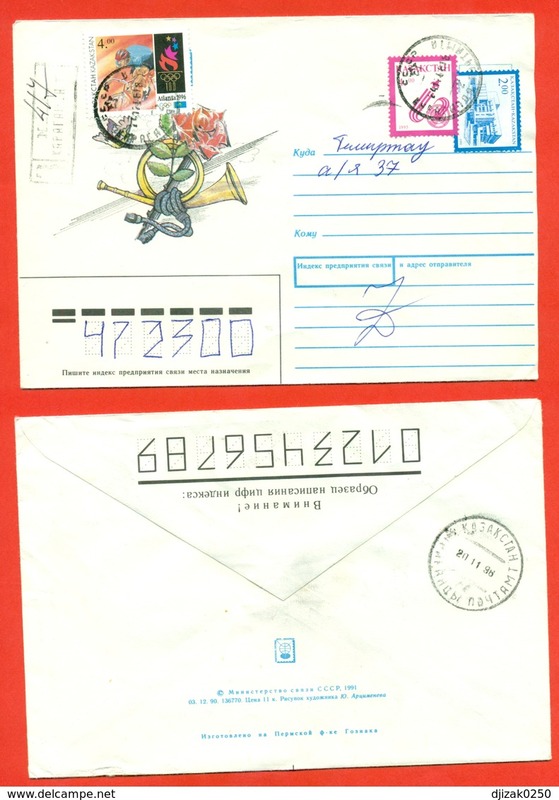 Each envelope has its own individual number. NEW!!!! Kazakhstan 2018.Opera singer of Kazakhstan E.Serkebaev. NEW!!! Kazakhstan 2008. Special secret mail. 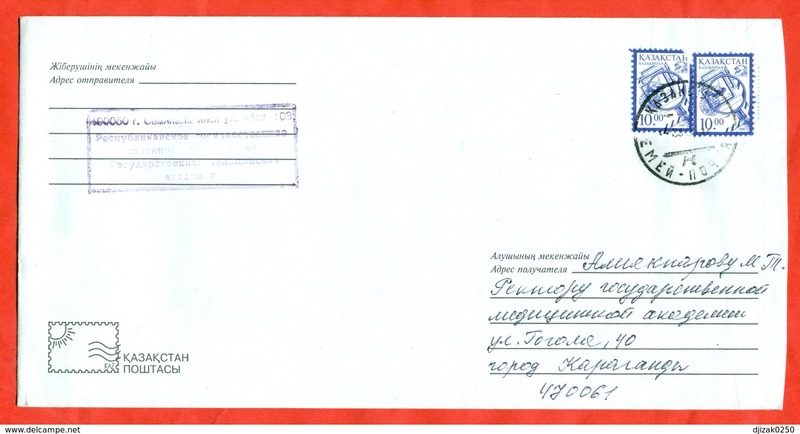 Rare.The envelope is really past mail. Kazakhstan 2008. Special secret mail. 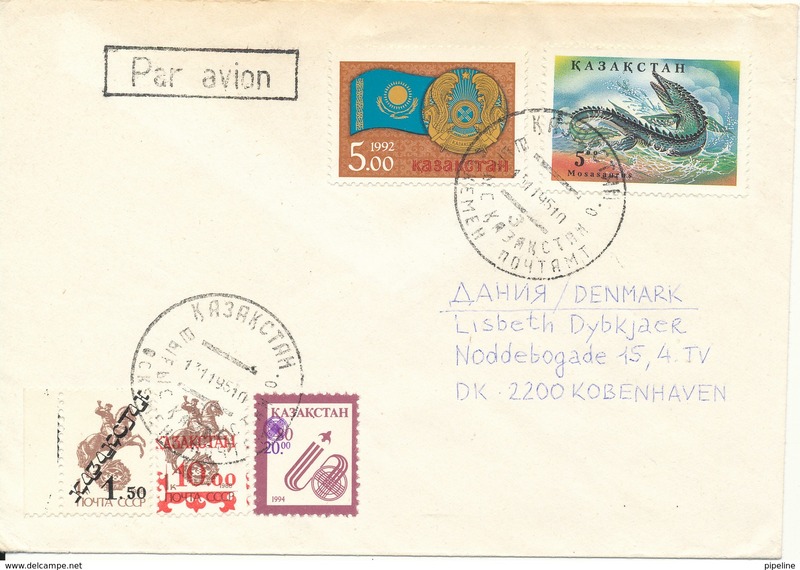 Rare.The envelope is really past mail.Airmail. 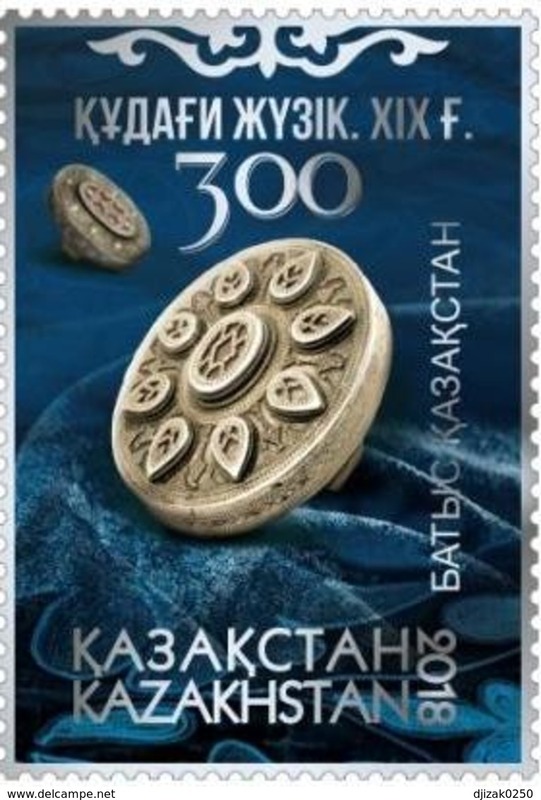 Kazakhstan 2006.Coat of Arms. 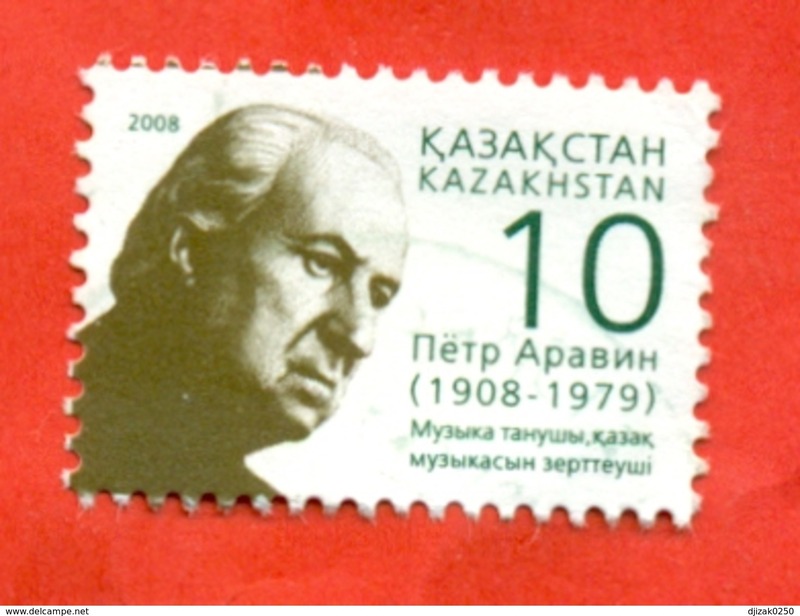 Used stamp. 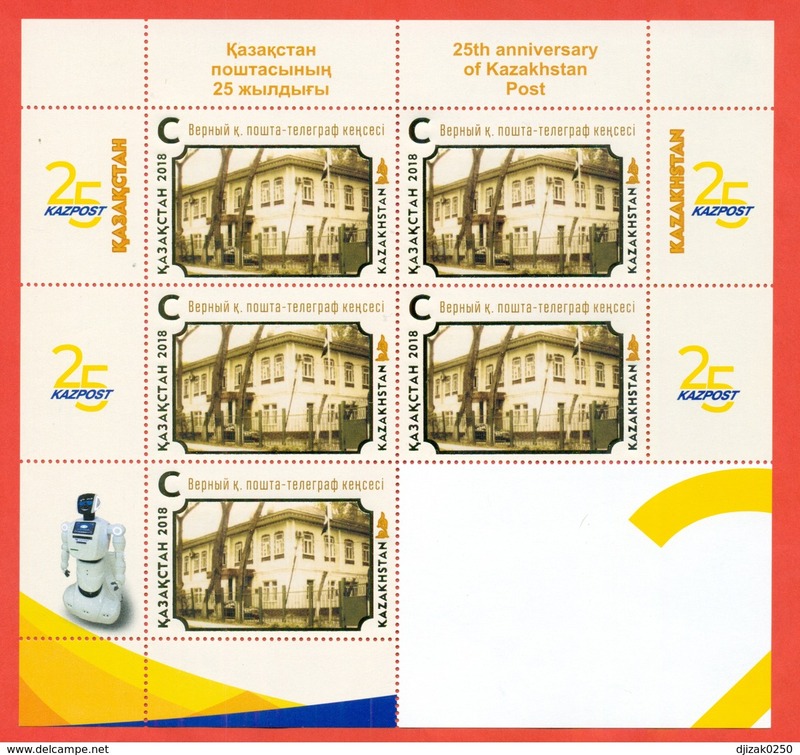 Kazakhstan 2002. Mustafin, writer. 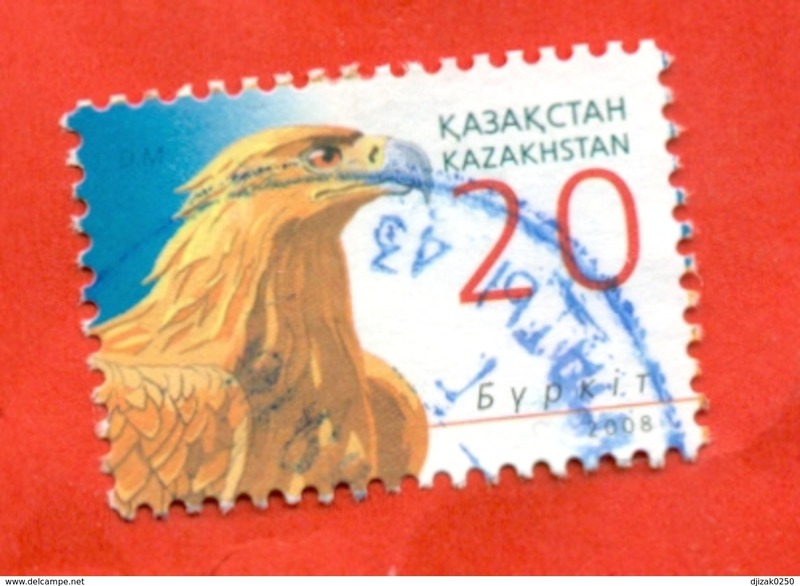 Used stamp. 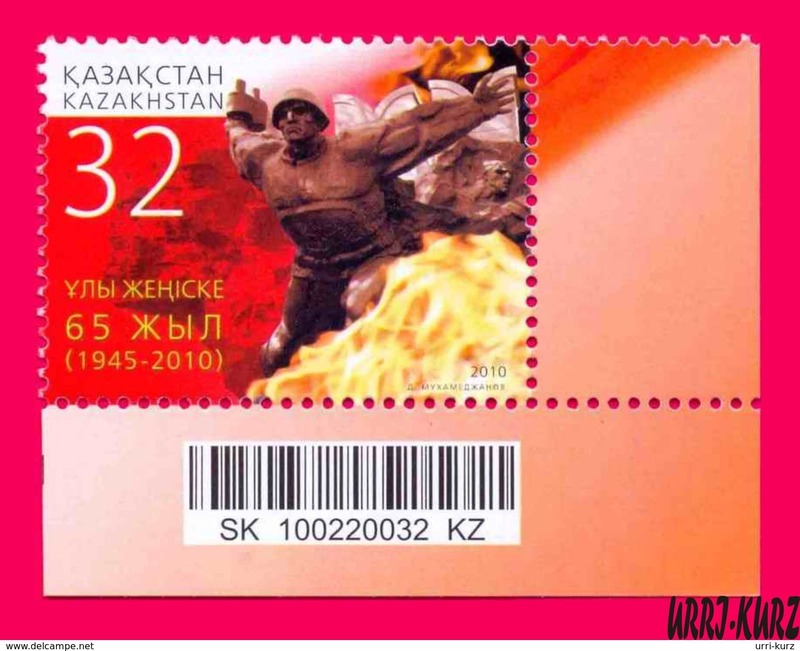 Kazakhstan 2008. Falcon. 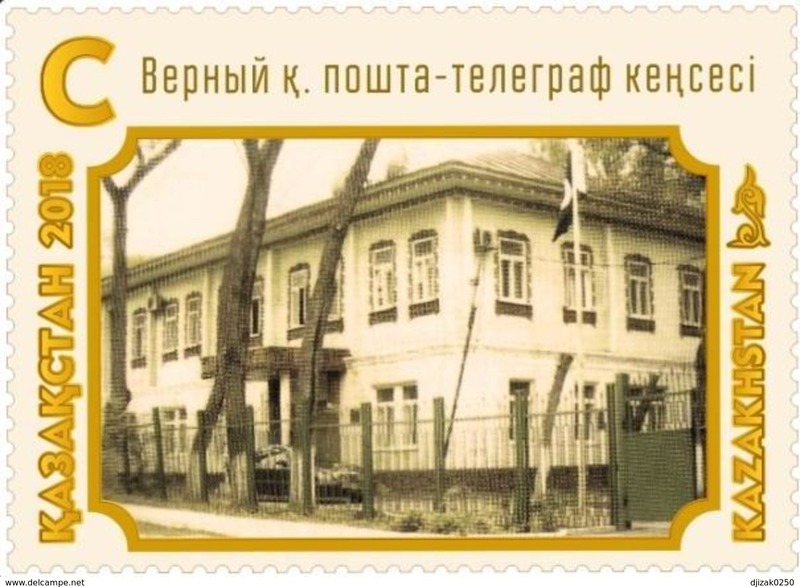 Used stamp. 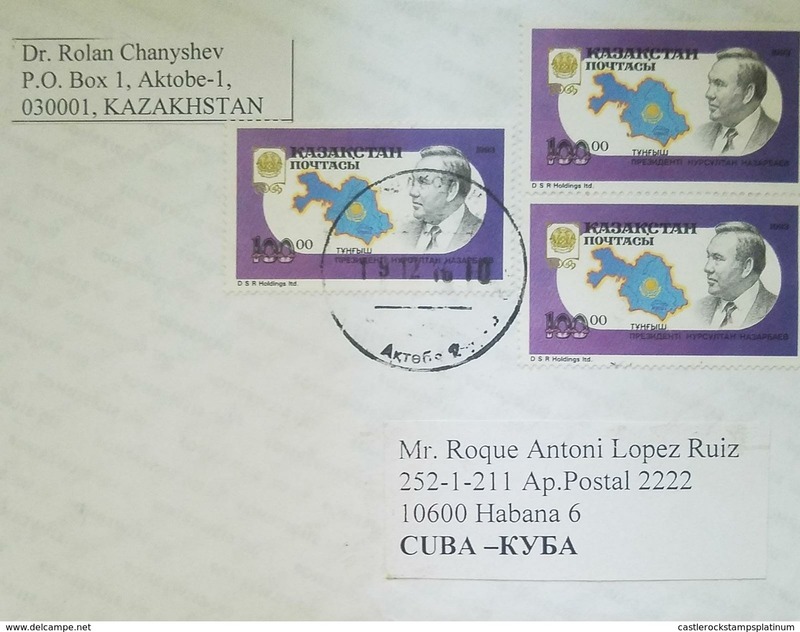 Kazakhstan 1997.Two stamps with overprint. Envelope past the mail. 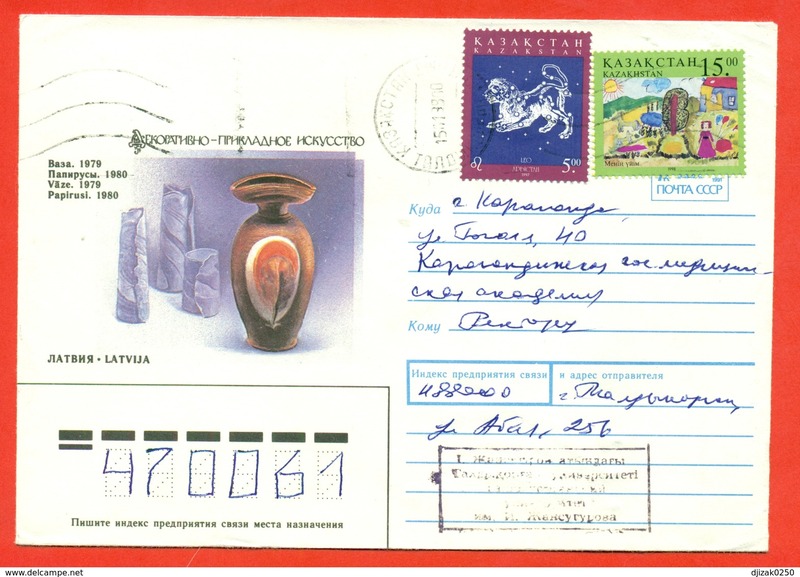 Kazakhstan 1997.Mineral.The envelope is really past mail. 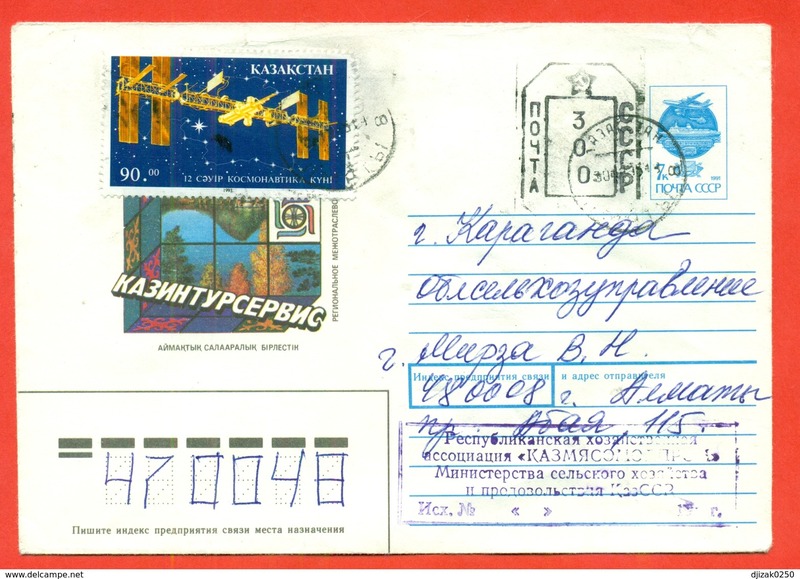 Kazakhstan 1998.Space.The envelope is really past mail. 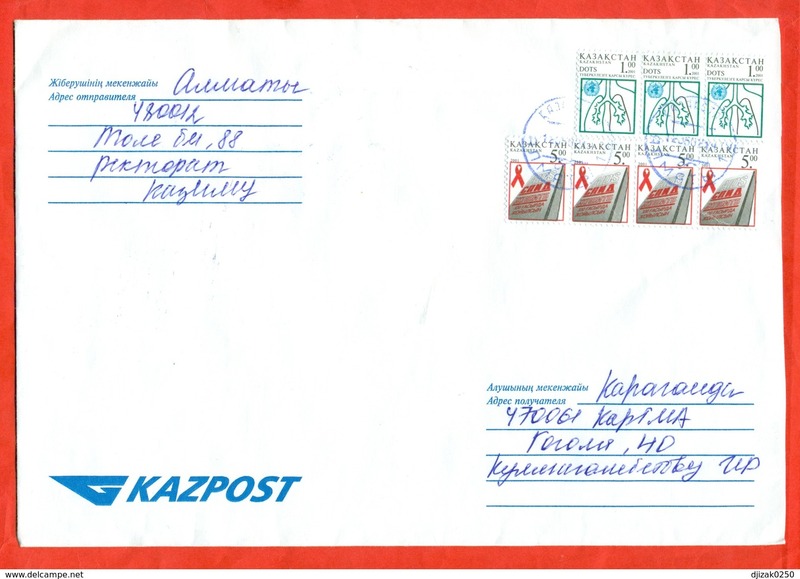 Kazakhstan 1997.Dog.The envelope is really past mail. 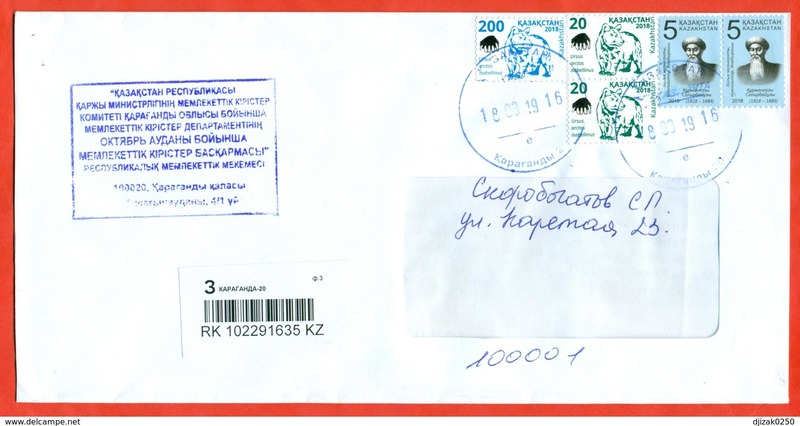 Kazakhstan 1997.Dog.Zodiac sign.The envelope is really past mail. Kazakhstan 2018.Boxing. 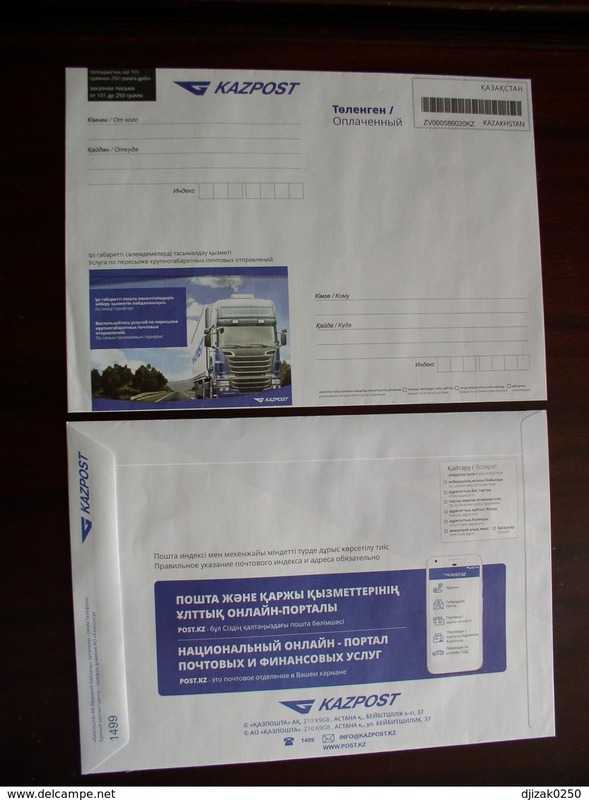 Registered big envelope is really past mail. Kazakhstan 2018.Bicycle. Drawings of children. Full sheet. 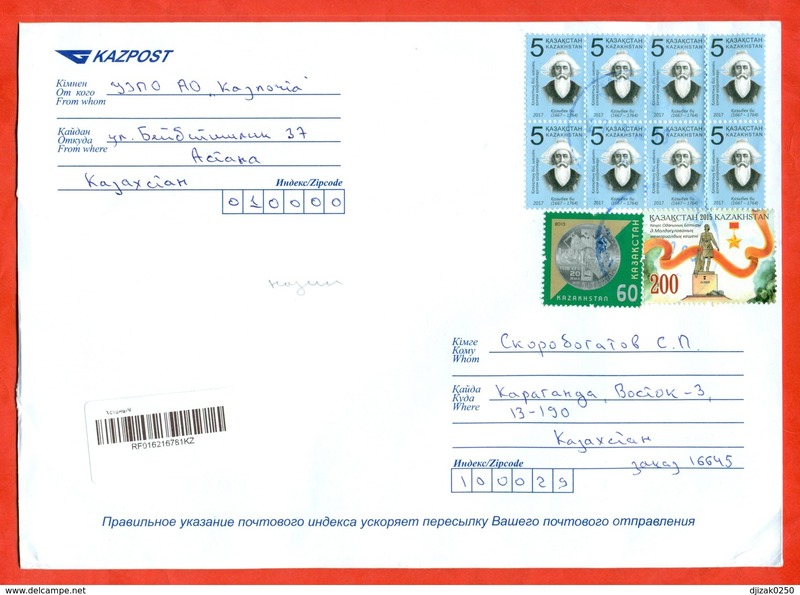 Kazakhstan 2018.Post and telegraph office in the city of Verny (modern Almaty) 25 years of mail in Kazakhstan.Full sh. 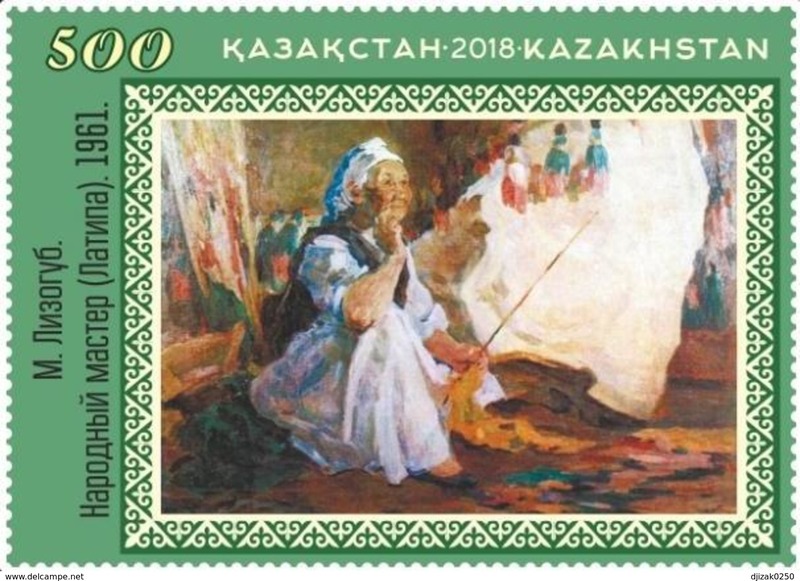 Kazakhstan 2018.Stamp on stamp. 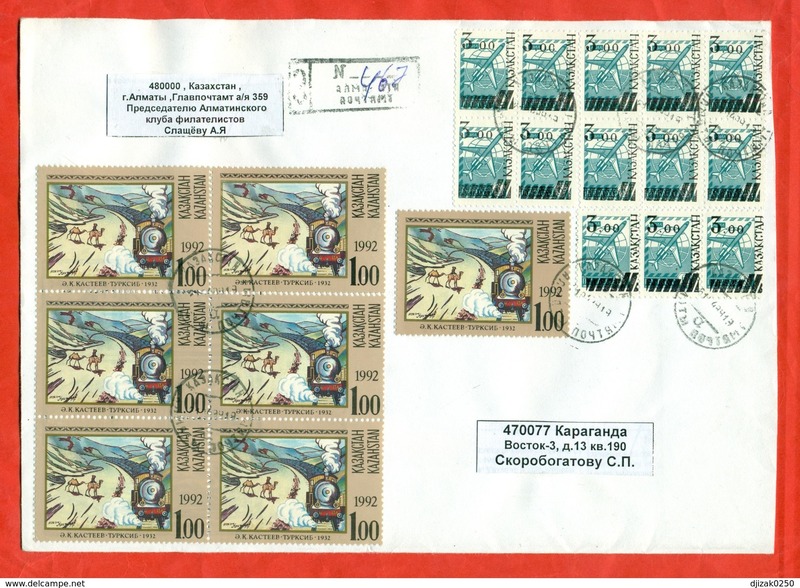 25 years of mail in Kazakhstan.Full sheet. Kazakhstan 2018.Drone. 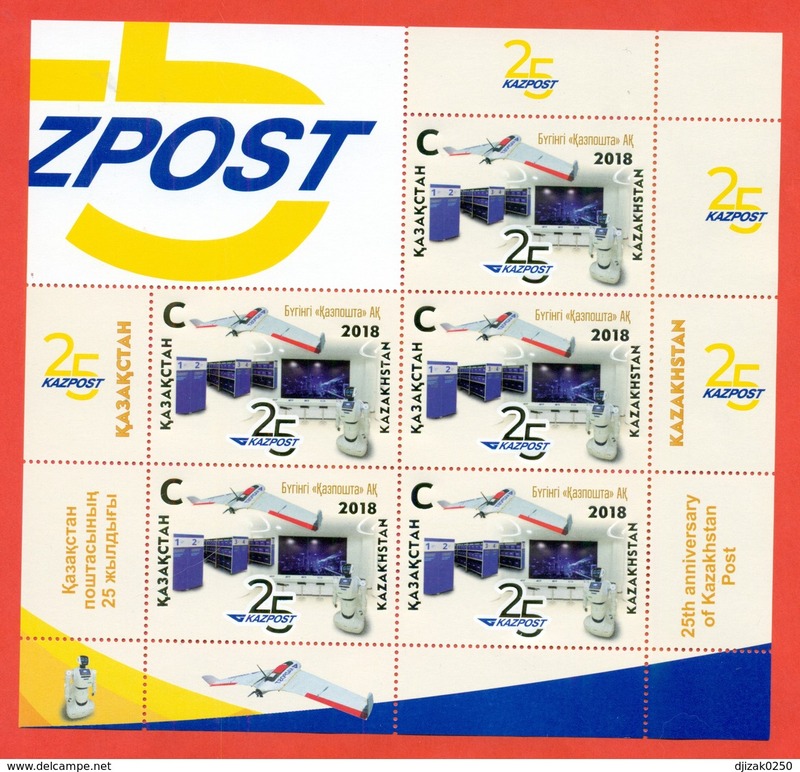 Robot.25 years of mail in Kazakhstan.Full sheet. Kazakhstan 2018.Bicycle. Drawings of children. 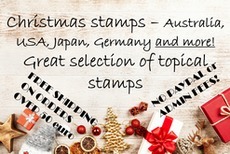 Block of 3 stamps + coupon. 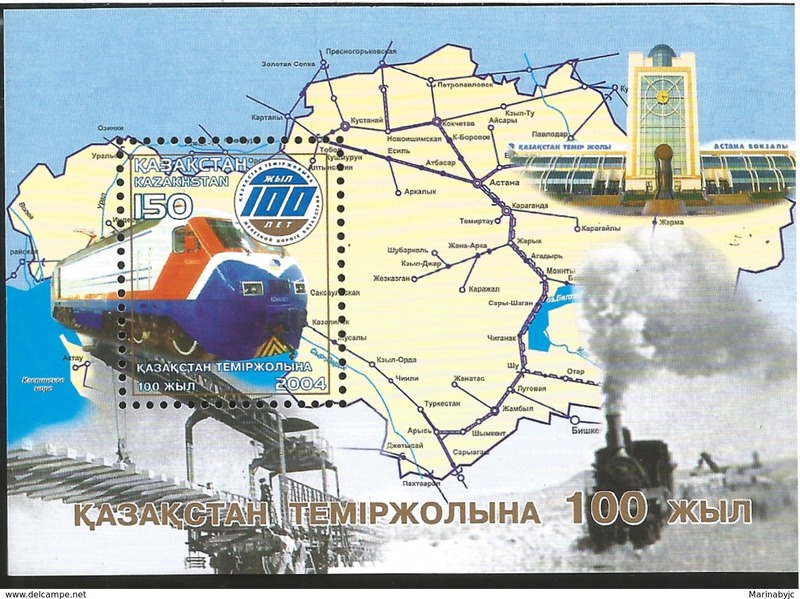 Kazakhstan 2018.Red Book. Trees of Kazakhstan.Block. 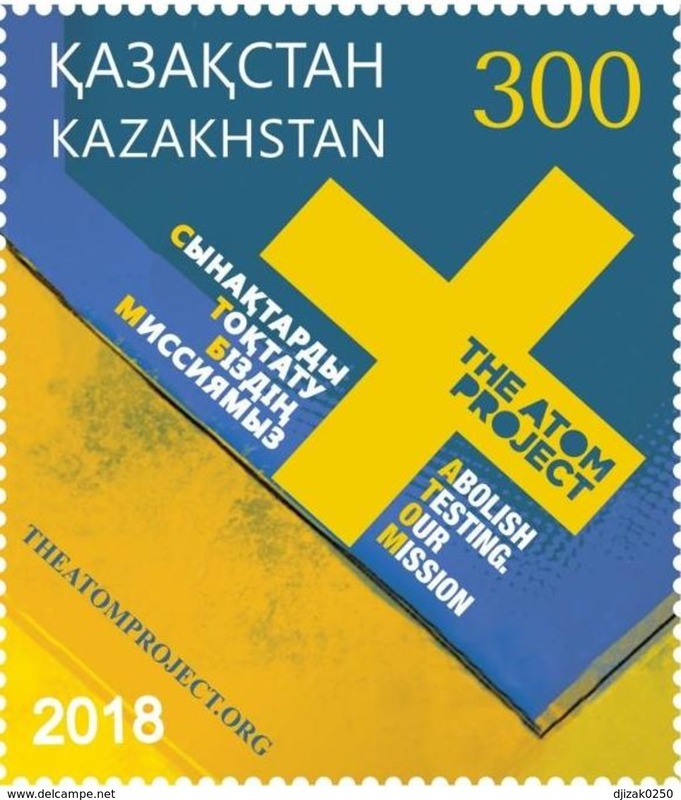 Kazakhstan 2018. 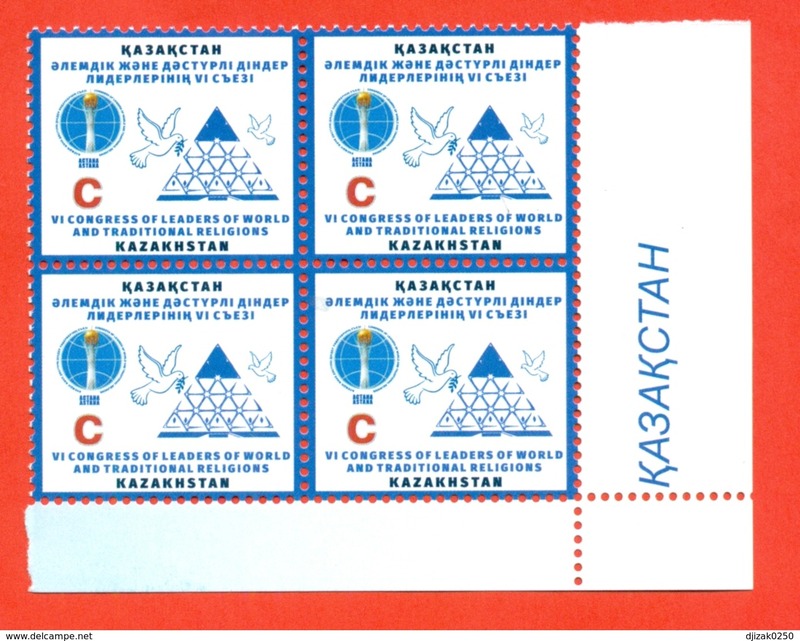 VI Congress of World Religions.Block of 4 stamp. New!!! 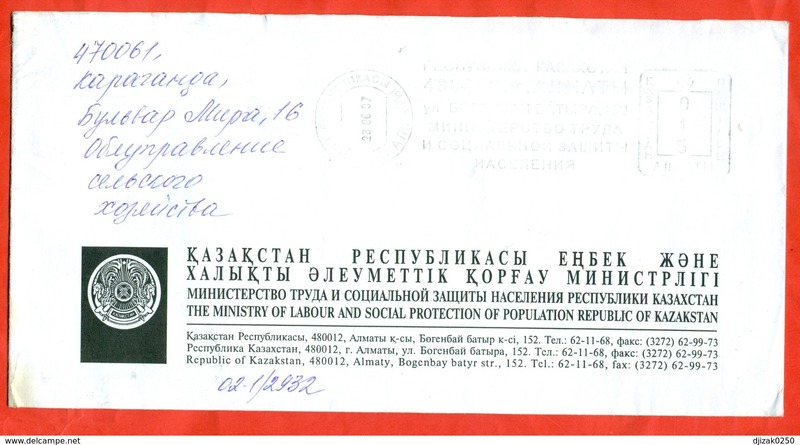 Kazakhstan 1996. Bicycle. Registered envelope passed the mail. 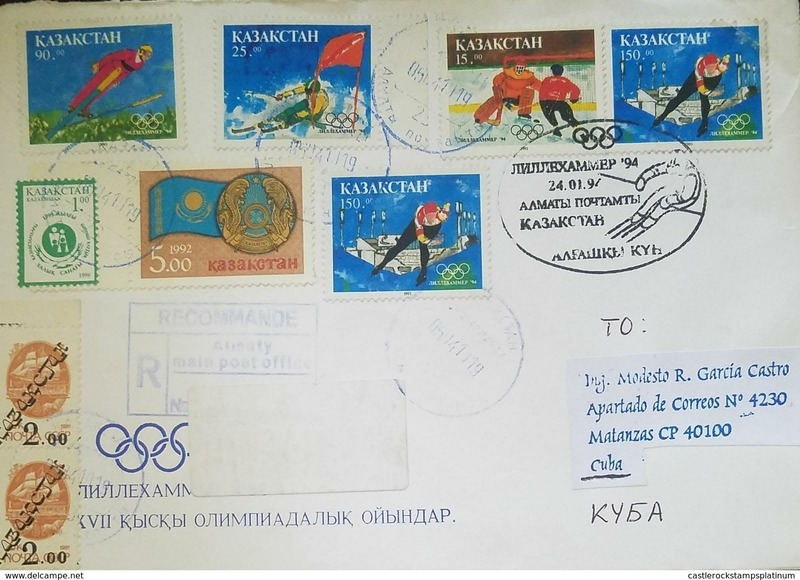 Kazakhstan 1996. Bicycle.The envelope passed the mail. 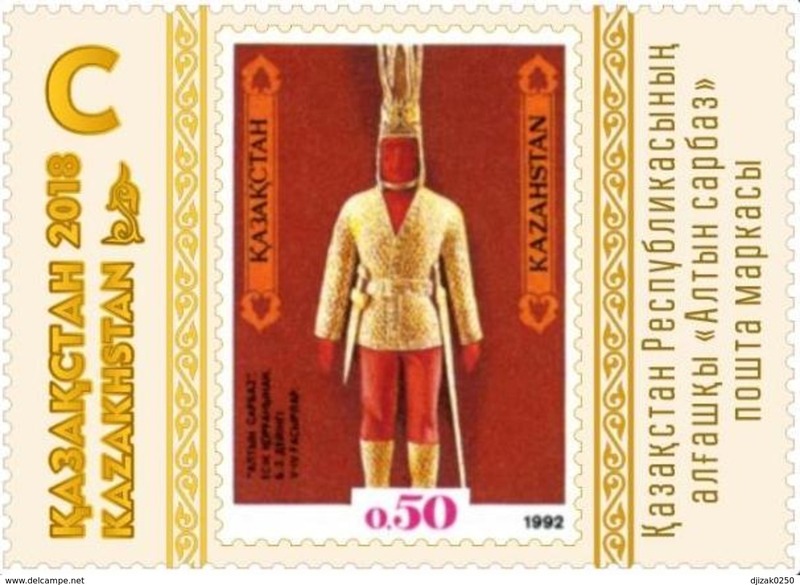 Kazakhstan 1996. Bicycle. The envelope passed the mail. 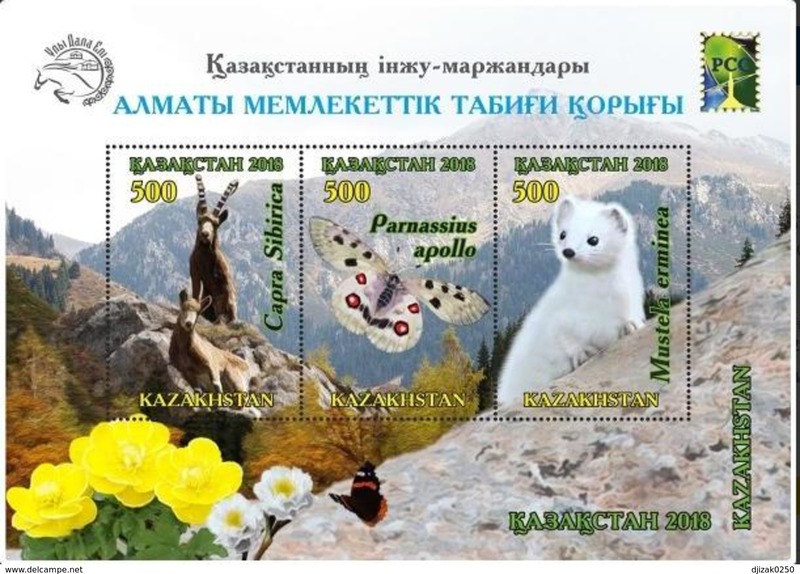 Kazakhstan 2018.Butterfly / Fauna. Almaty Reserve.Block.New!!! 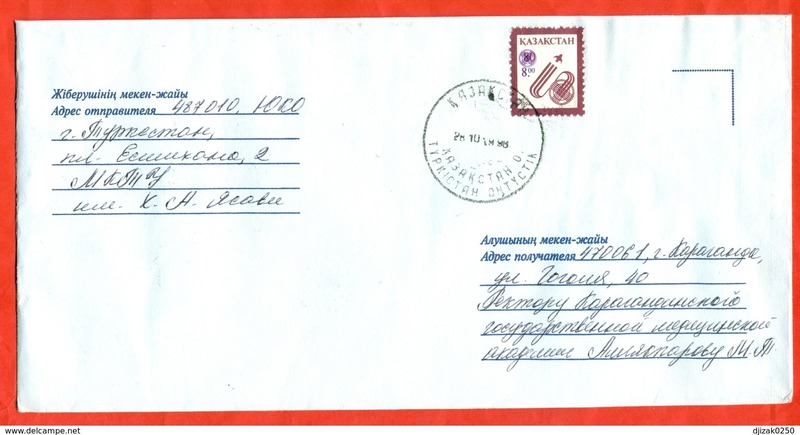 Kazakhstan 1999.The envelope passed the mail. Kazakhstan 2004.Space. Registered envelope passed the mail. 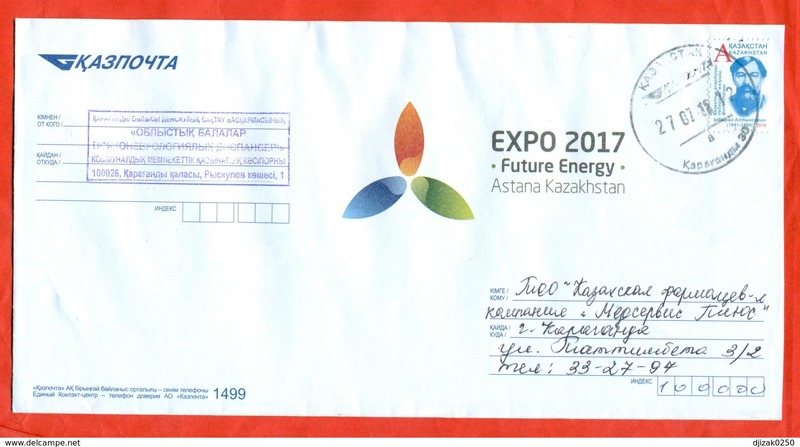 Kazakhstan 2016. Altynsarin. The envelope is really past mail. Kazakhstan 2018. 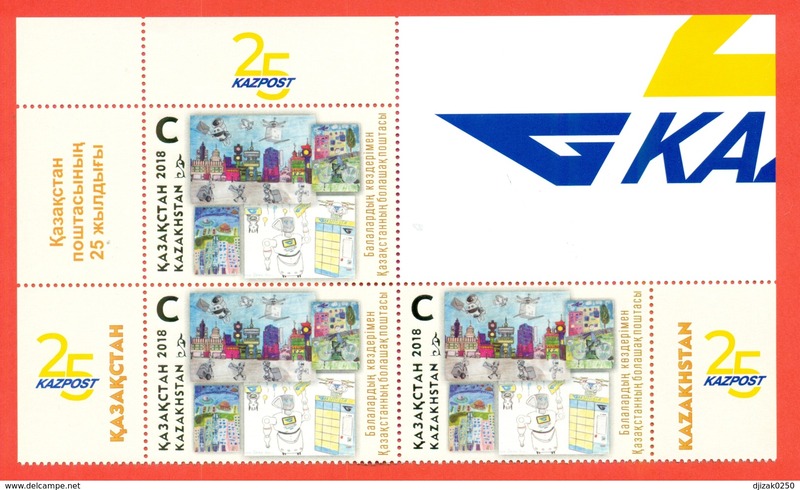 25 years of postal service in Kazakhstan.One stamp. New!!! 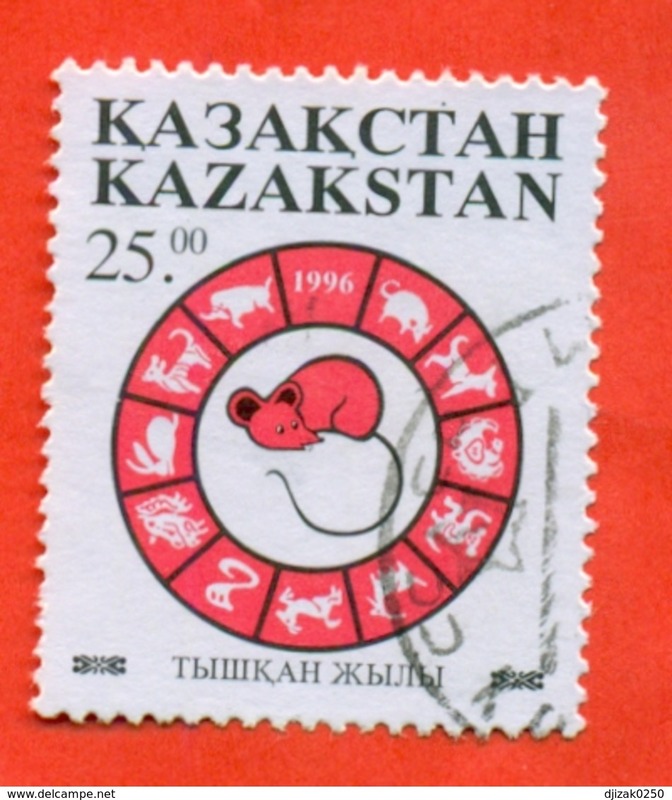 Kazakhstan 1997.Zodiac signs. Overprint. Registered envelope is really past mail. 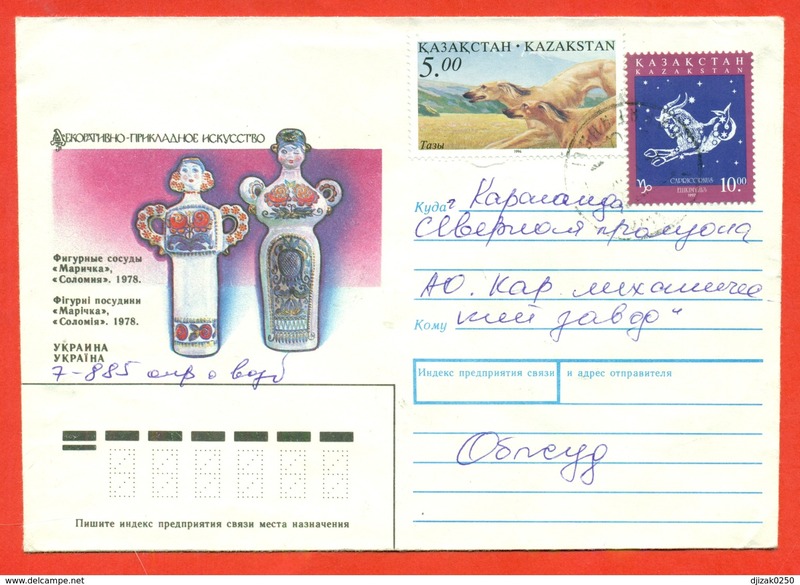 Kazakhstan 1997.Zodiac signs. Registered envelope is really past mail. Kazakhstan 2018. Prosecutor Seitov. One stamp. New!!! Kazakhstan 2018. 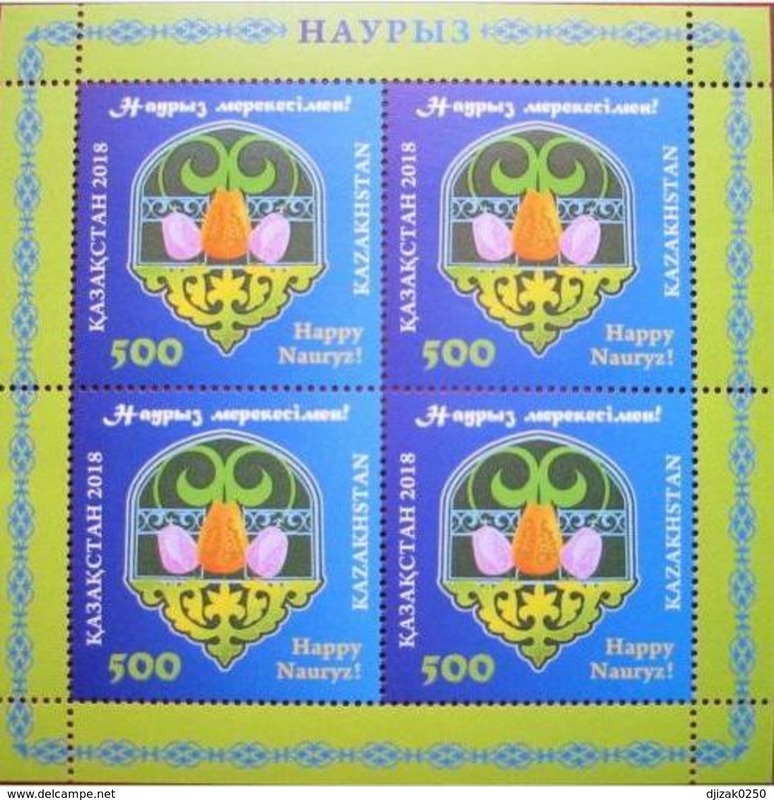 Nauryz. Muslim New Year. Small Sheet. New!!! Kazakhstan 2018. 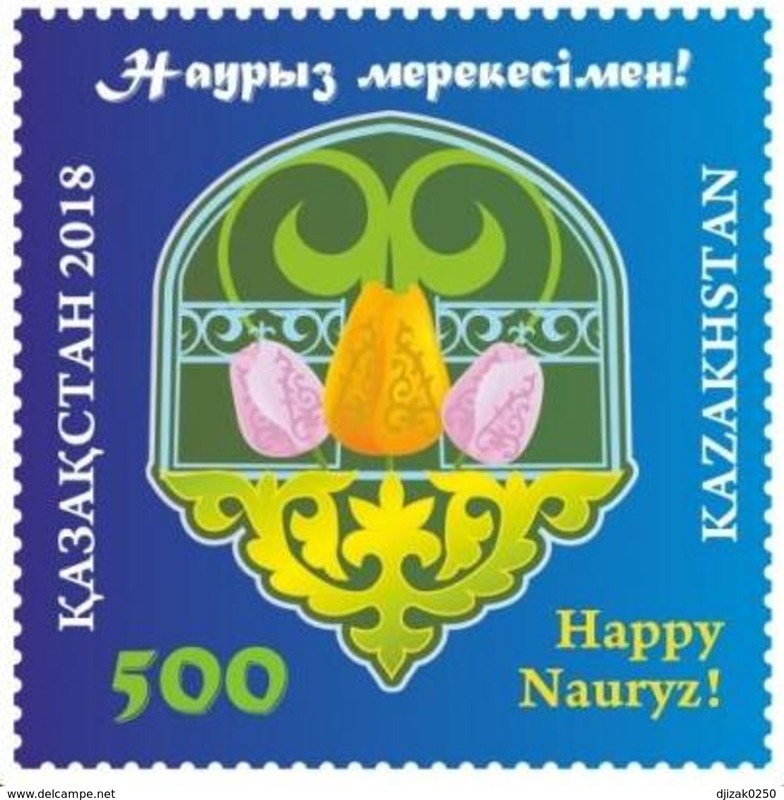 Nauryz. Muslim New Year.One stamp. New!!! Kazakhstan 2018. 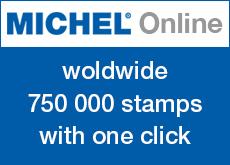 World Post Day.One stamp. New!!! Kazakhstan 2018. Kazakh antique jewelry. Full sheet.New!!! Kazakhstan 2018. Kazakh antique jewelry. One stamp.New!!! 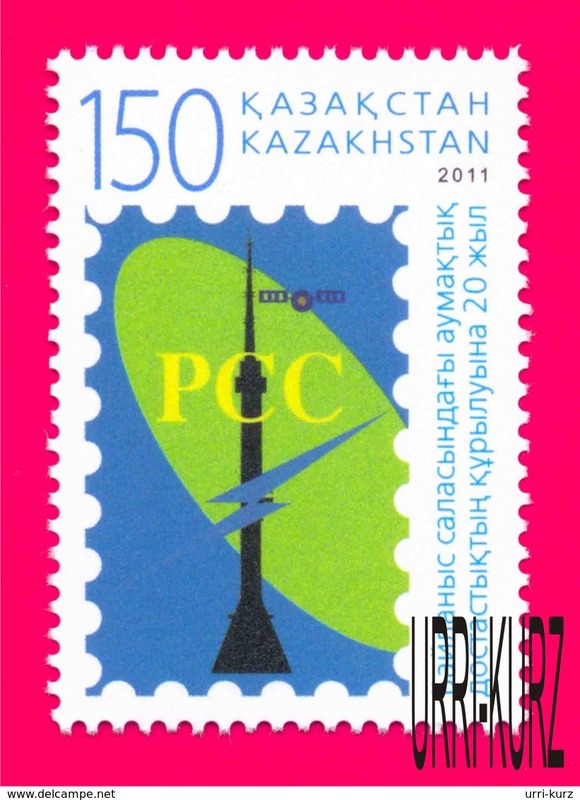 Kazakhstan 2007.UPU. Stamp. 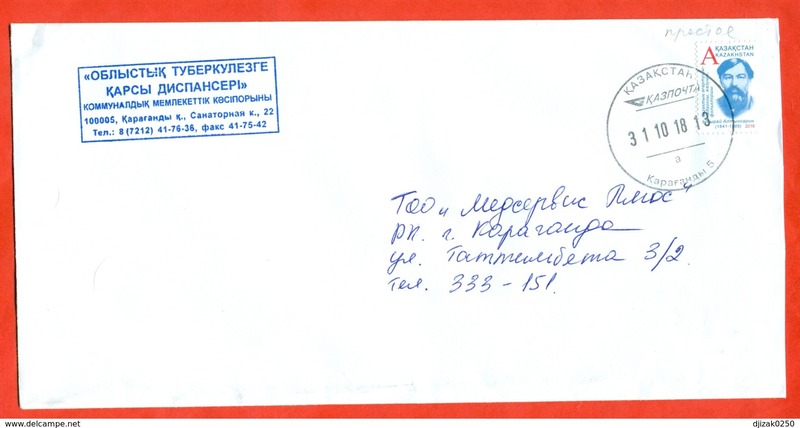 The envelope with printed stamp passed the mail. 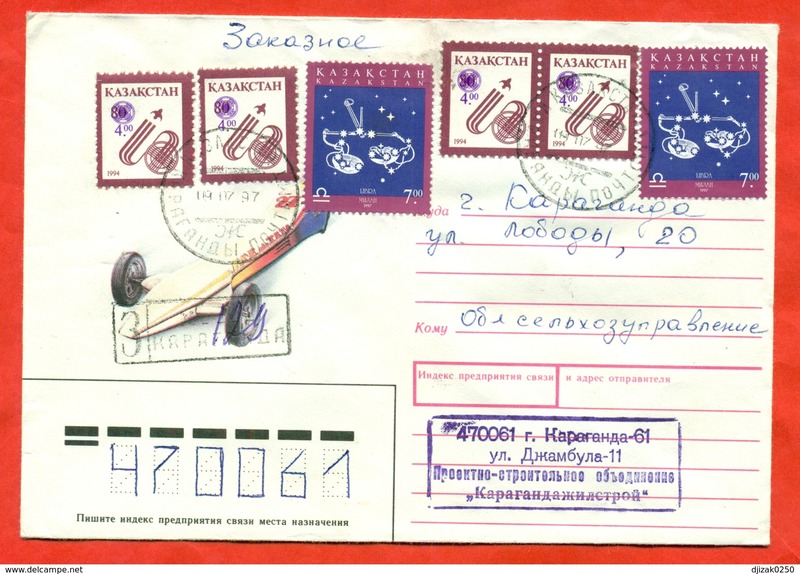 Kazakhstan 1997.Astronomy. The envelope is really past mail. 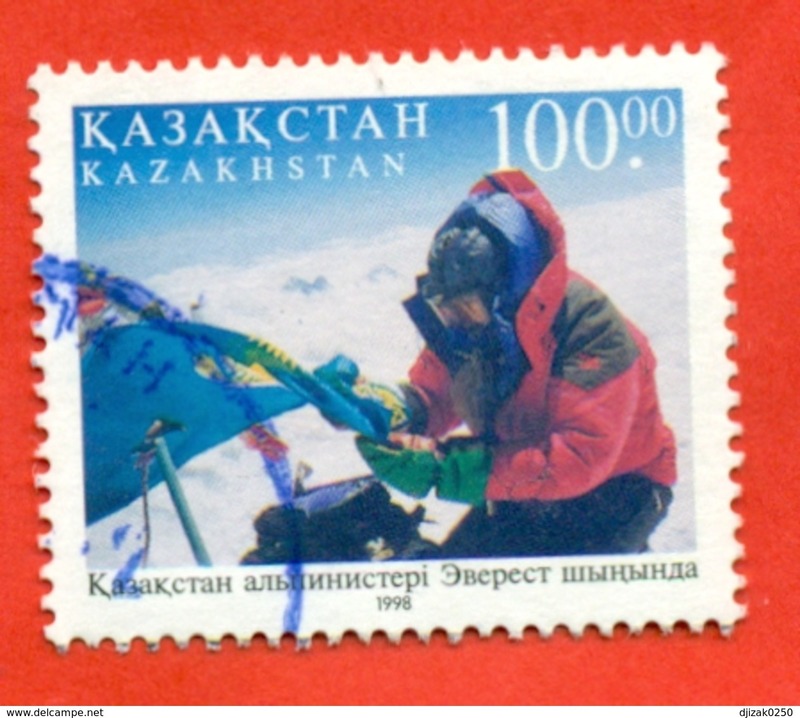 Kazakhstan 1998.The Conquest of Everest.Used stamp from block. Kazakhstan 2018.Light industry of Kazakhstan. Block. New !!! Kazakhstan 2018.Treasures of national museums. Musical instrument, jewelry. Block. New !!! 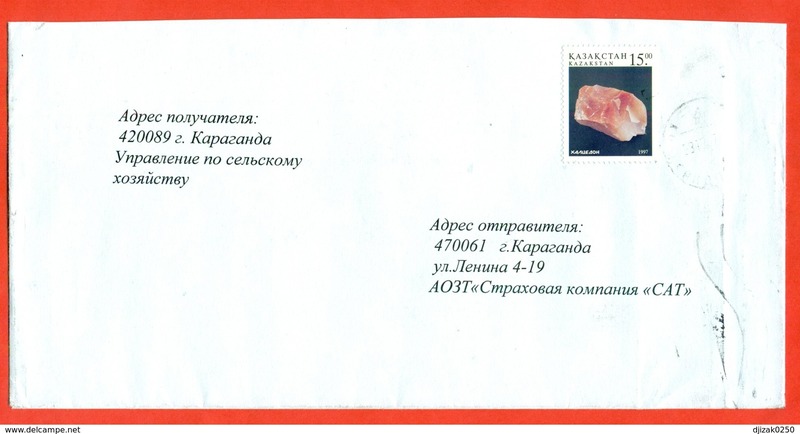 Kazakhstan 2001.AIDS. 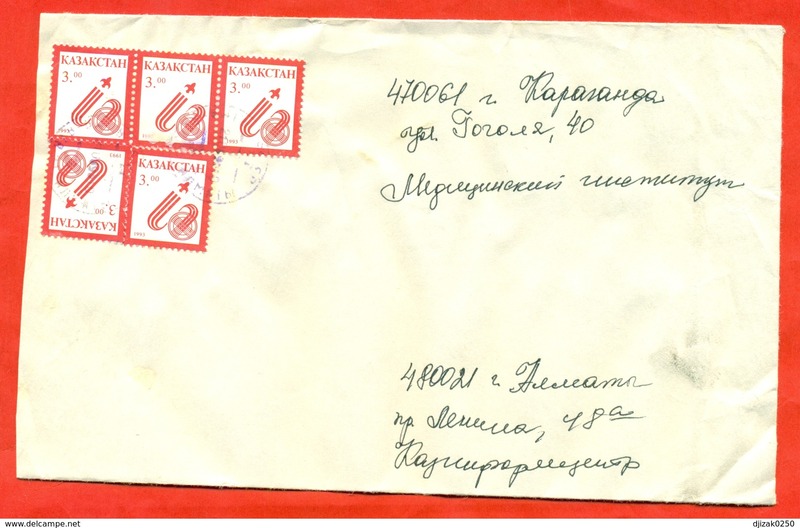 Envelope passed the mail.A valuable letter with a wax seal. 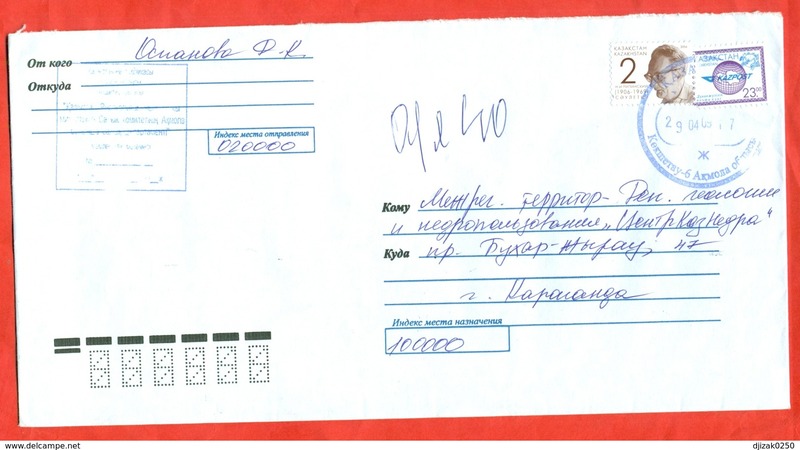 Kazakhstan 2001.AIDS. Envelope passed the mail. 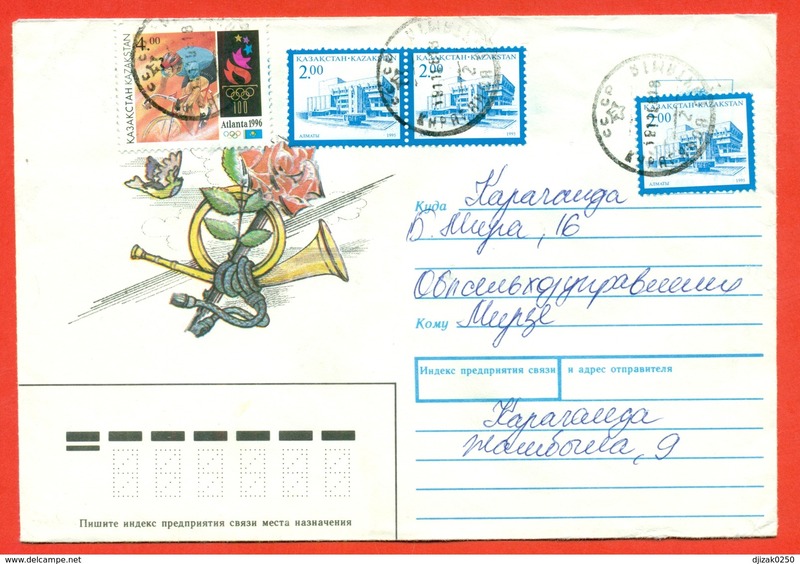 Kazakhstan 1993.Registered envelope. The envelope actually passed the mail. 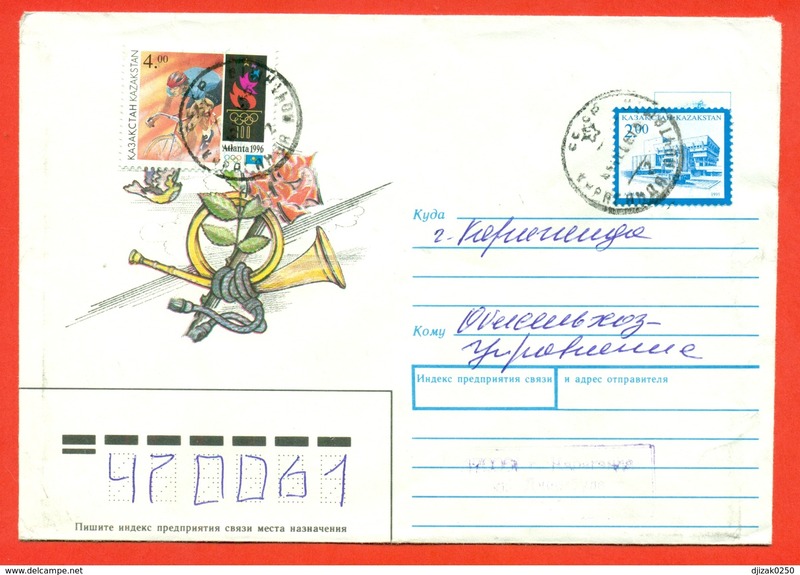 Kazakhstan 1997.Machine stamp of the Ministry. The envelope actually passed the mail. 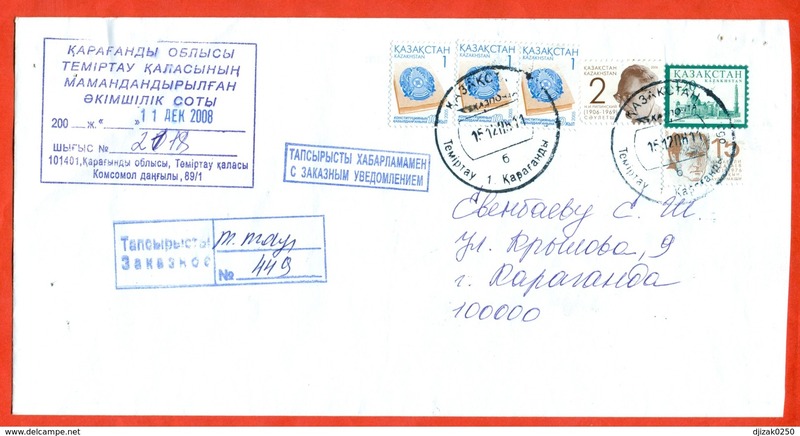 Kazakhstan 1999.Philatelie.The envelope actually passed the mail. 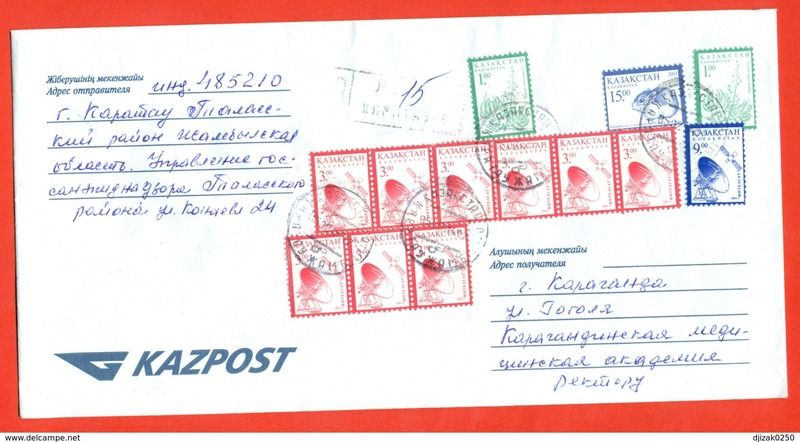 Kazakhstan 1995.Surcharged.The envelope actually passed the mail. Kazakhstan 2018.Block.Olympics in Phenchang. Mogul.New!!! Kazakhstan 2012. Sain. Singer. 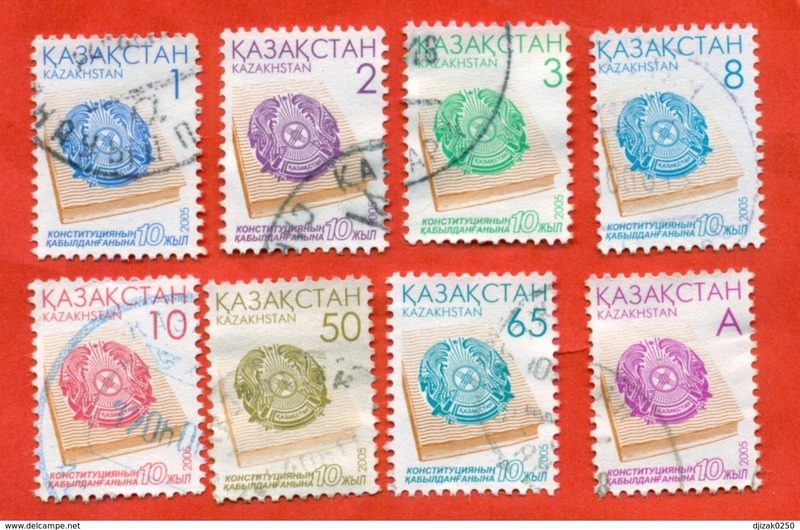 Used stamps. 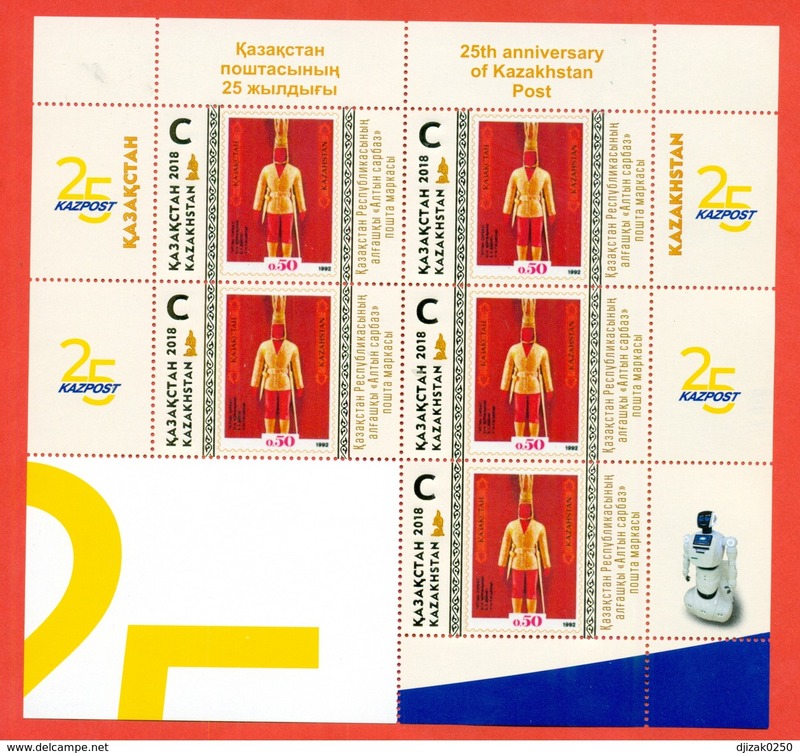 Kazakhstan 2003. Monument. Used stamps. 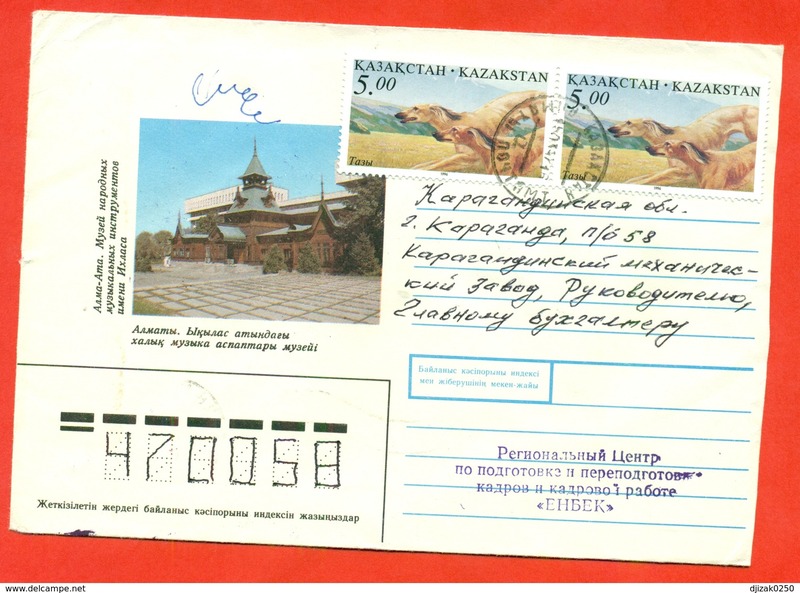 Kazakhstan 1996. World Post Day. 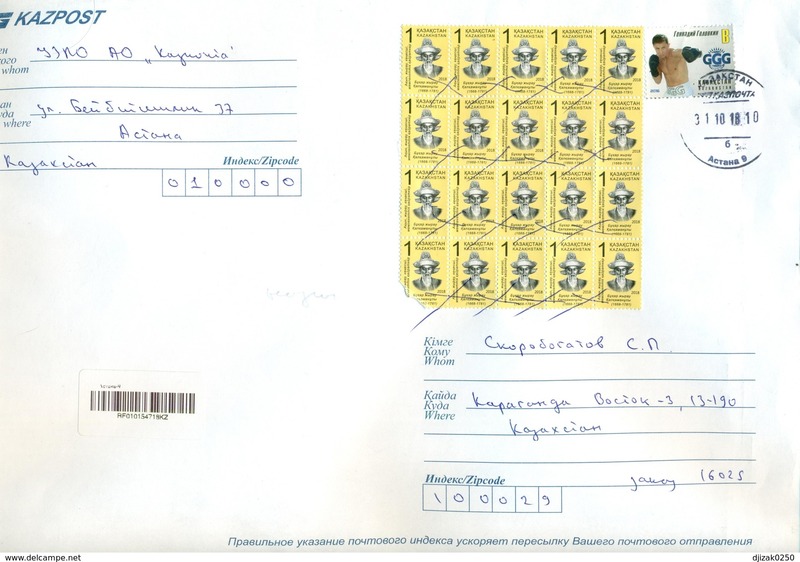 Used stamps. 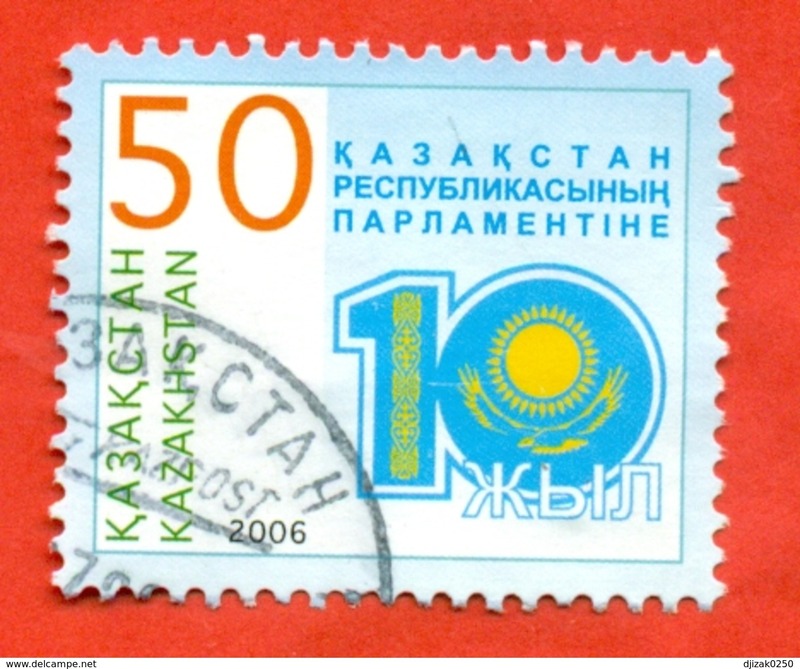 Kazakhstan 2005. 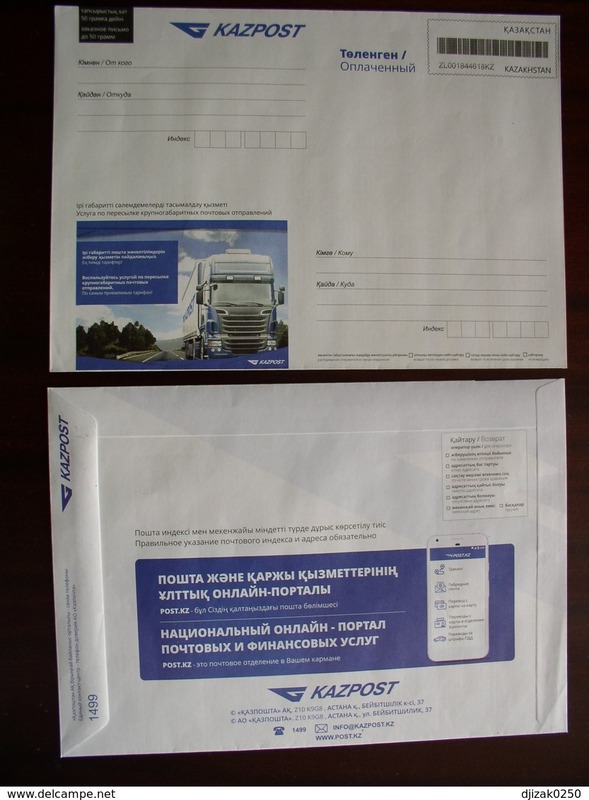 World Post Day. Used stamps. 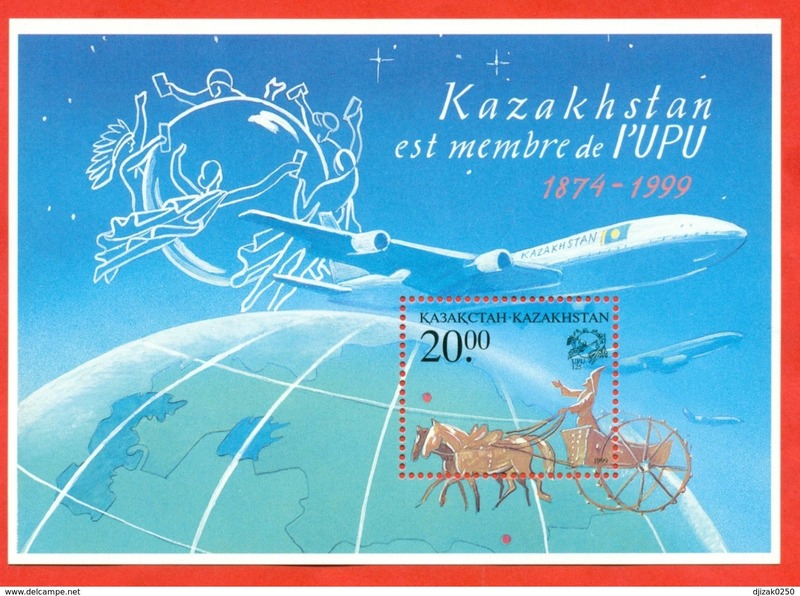 Kazakhstan 2000. Baurdzhan Momyush Uly. Hero WWII. 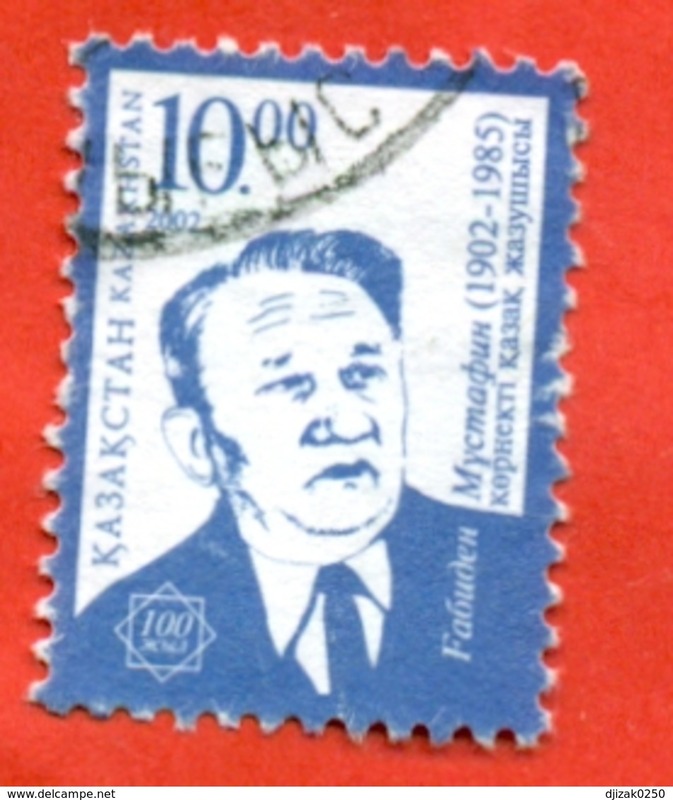 Used stamp. Two stamps. Kazakhstan 2005. Hans Christian Andersen. 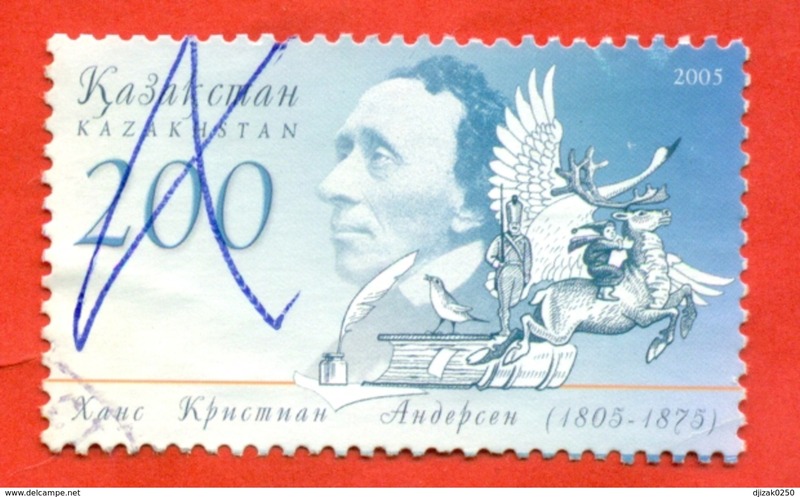 Used stamp. 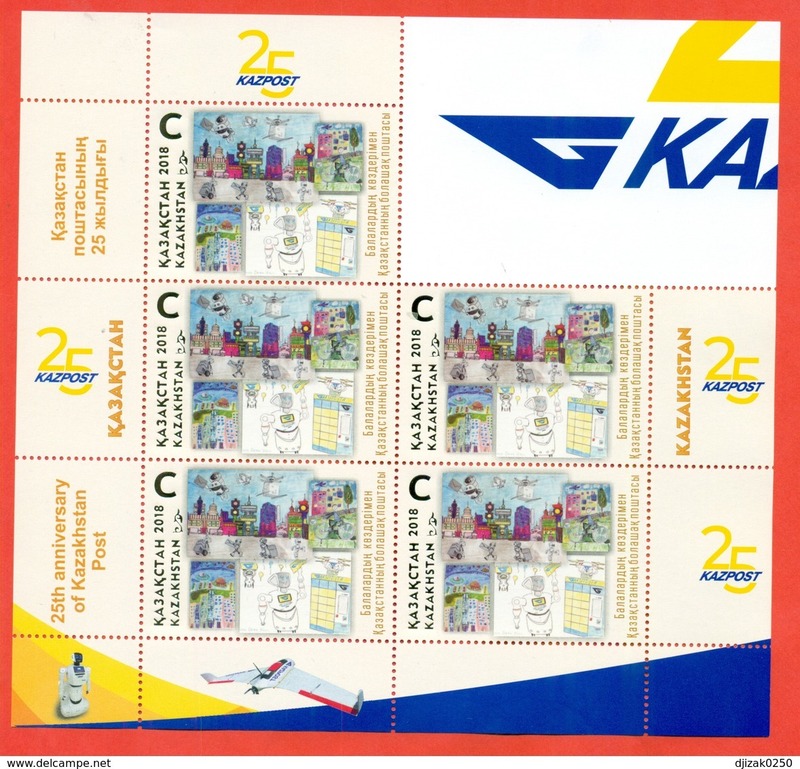 Kazakhstan 2007. 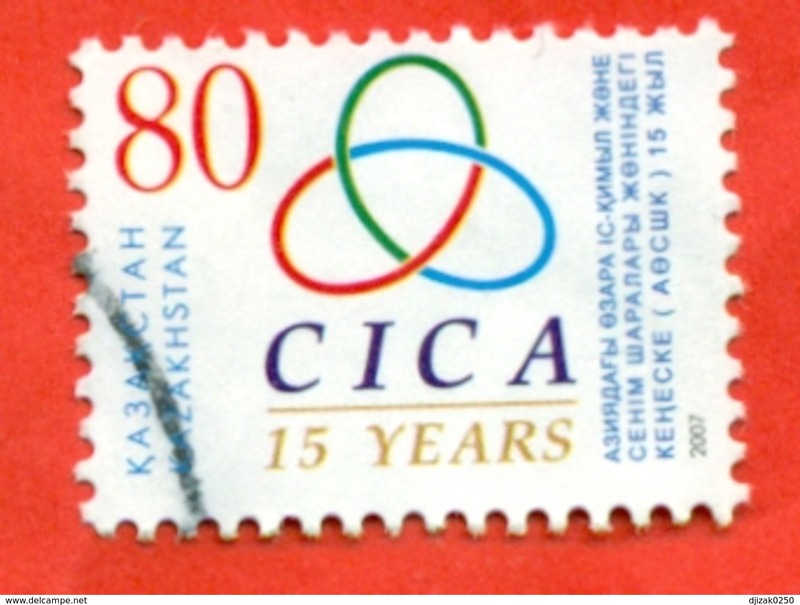 The 15th anniversary of CICA. 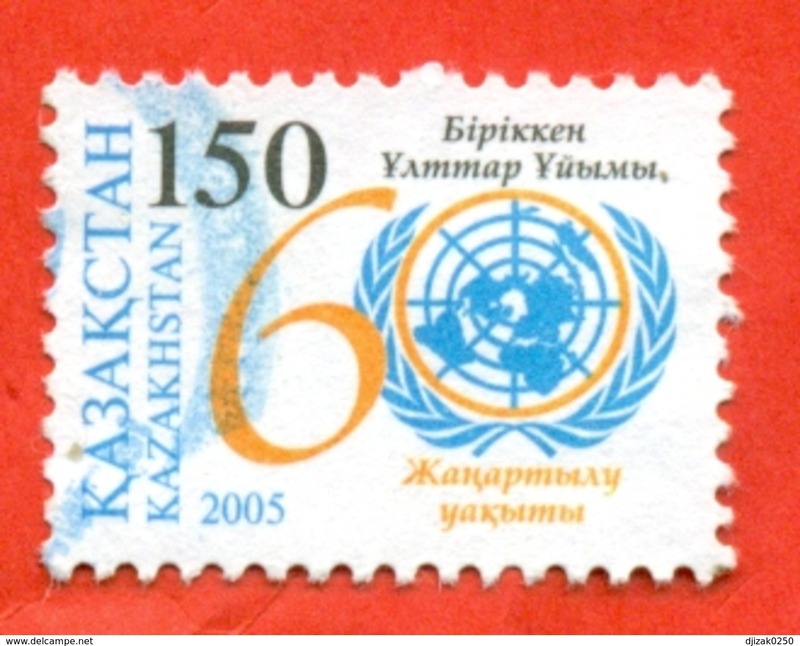 Used stamp. Kazakhstan 2005. 60 year of UN. 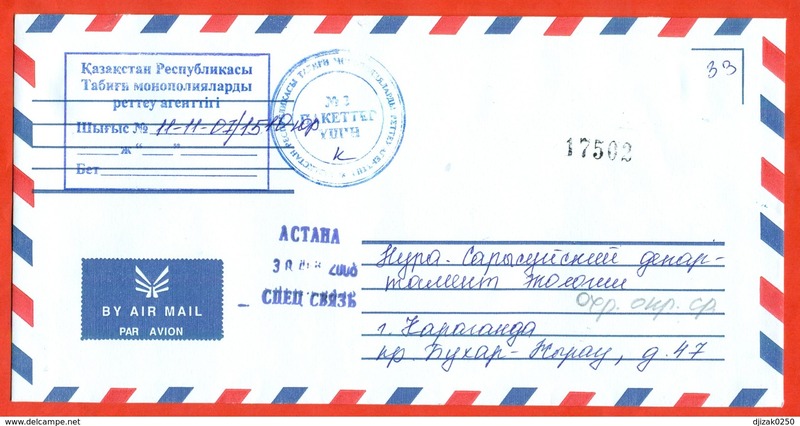 Used stamp. 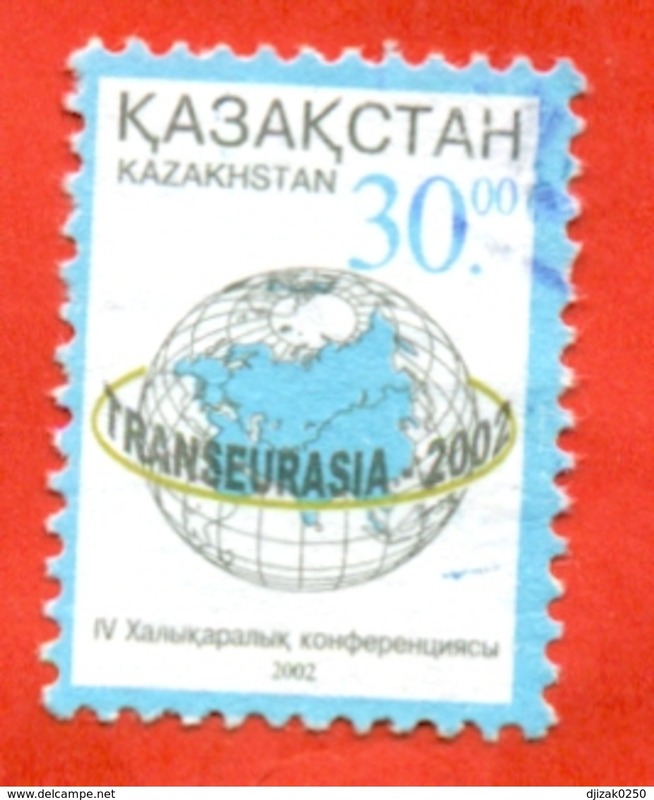 Kazakhstan 2002.International Conference "Tanseurasia". Used stamps. 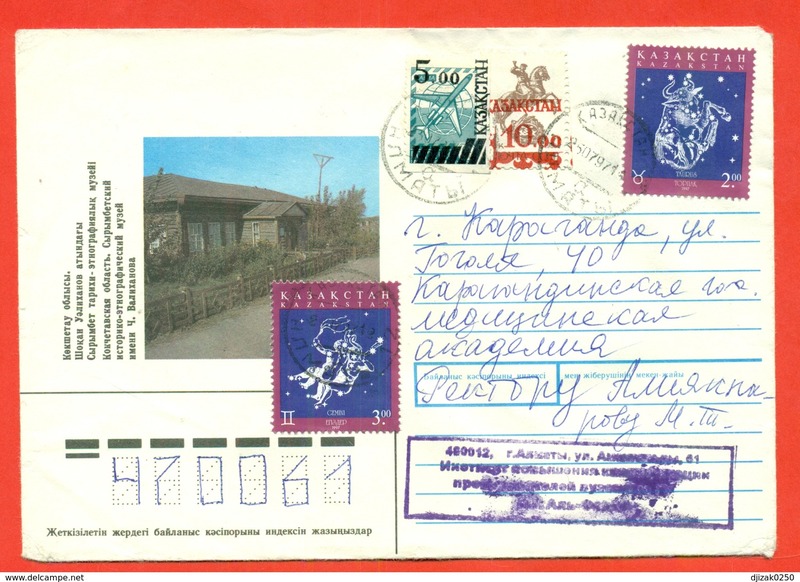 Kazakhstan 1996. Chinese New Year. 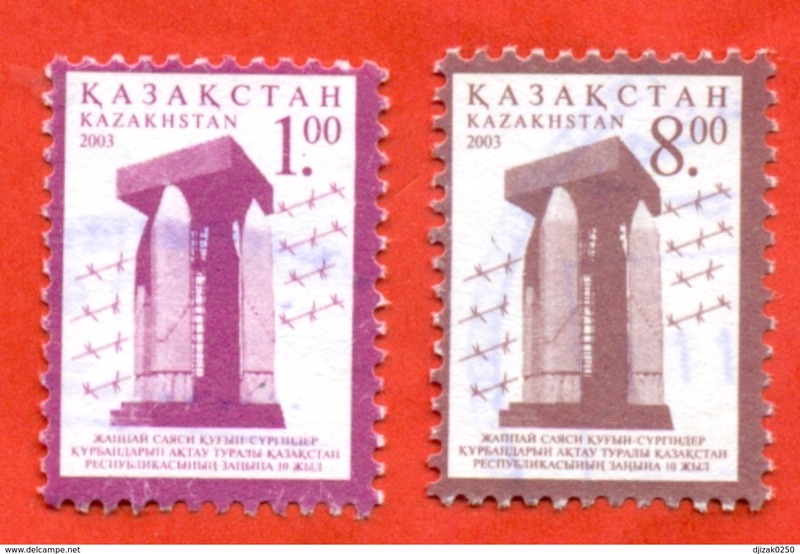 Used stamps. 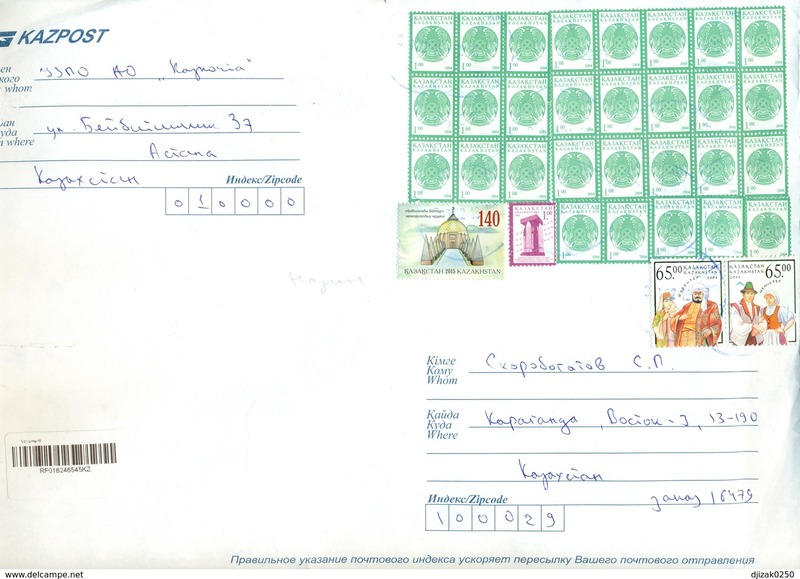 Kazakhstan 2007.Coats of arms of cities Karaganda and Pavlodar..Used stamps. 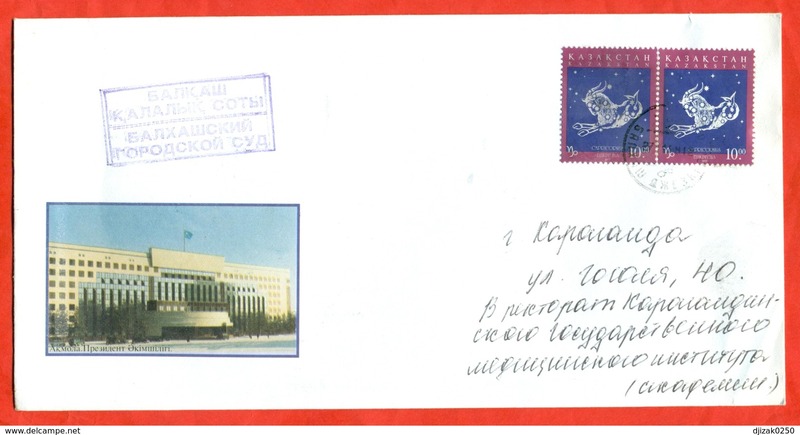 Kazakhstan 2006.10 years to parliament.Used stamp. Kazakhstan 2005.Ensemble of the people of Kazakhstan. 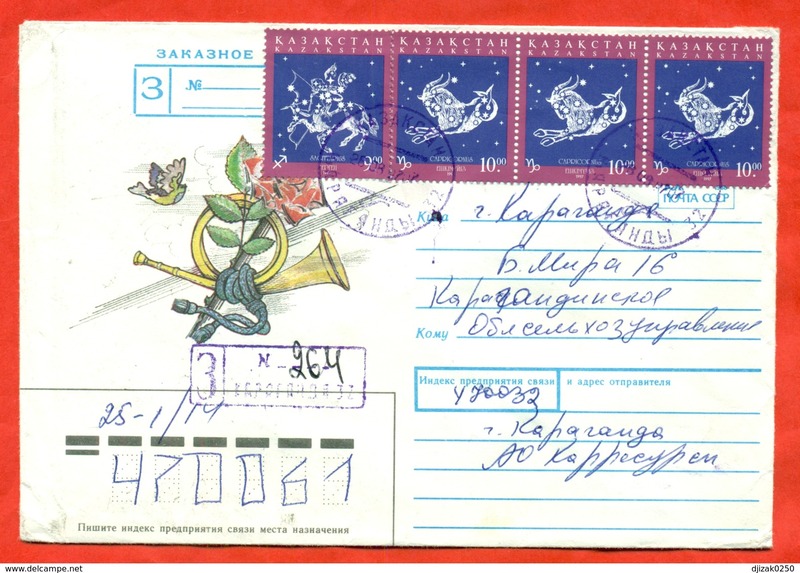 Used stamp. 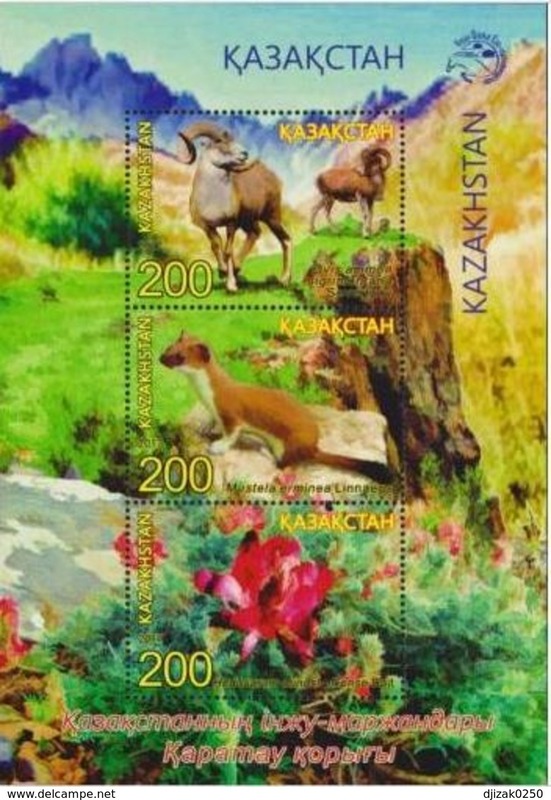 Kazakhstan 2001-03.Fauna. Mouse. 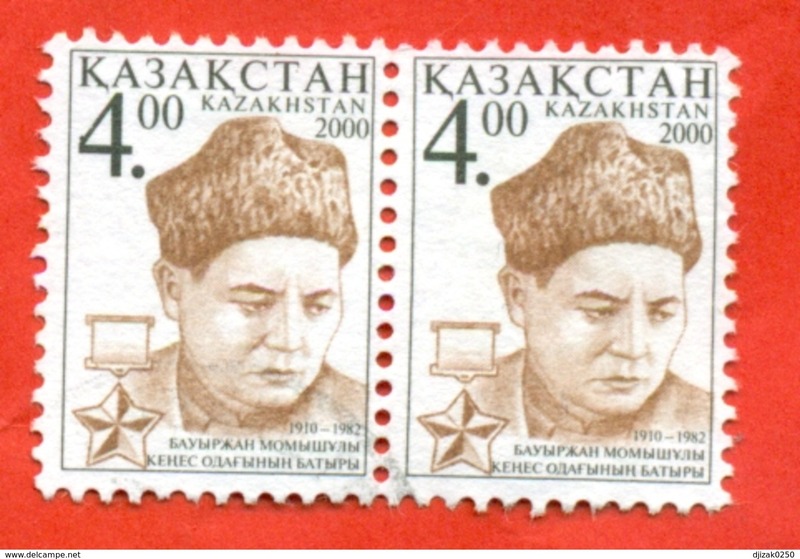 Used stamps. Complete series. Kazakhstan 2008.Birds.Music. 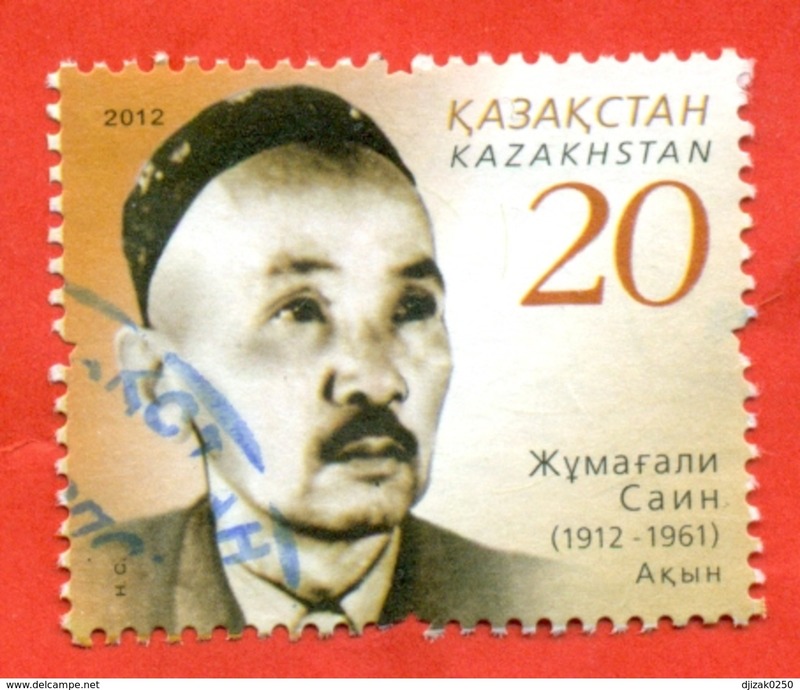 The Kazakh composer. Used stamp. Kazakhstan 2018. Atom.For the sake of life on Earth.New!!! Kazakhstan 2004. 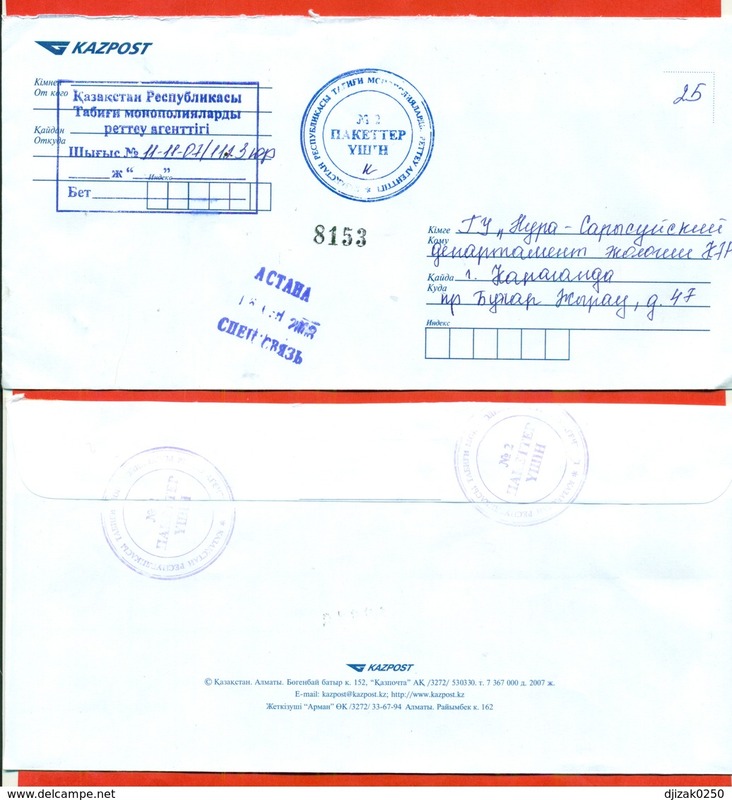 Registered notification of delivery of the mail. 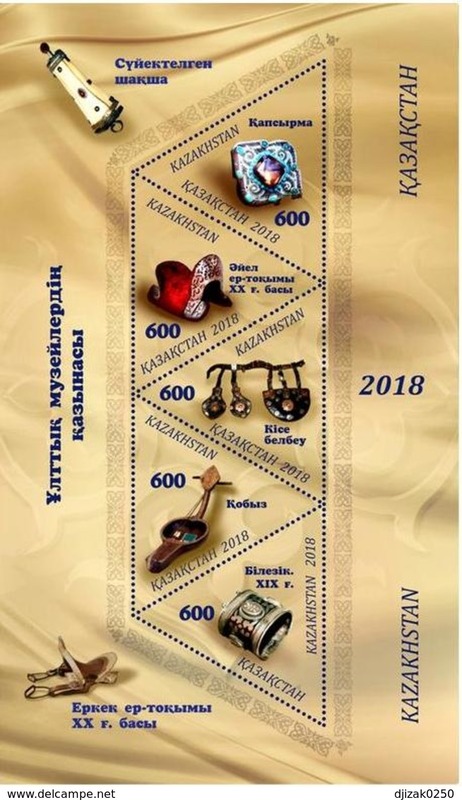 Kazakhstan 2017.25 years of the Olympic Committee of Kazakhstan. FDC.New. 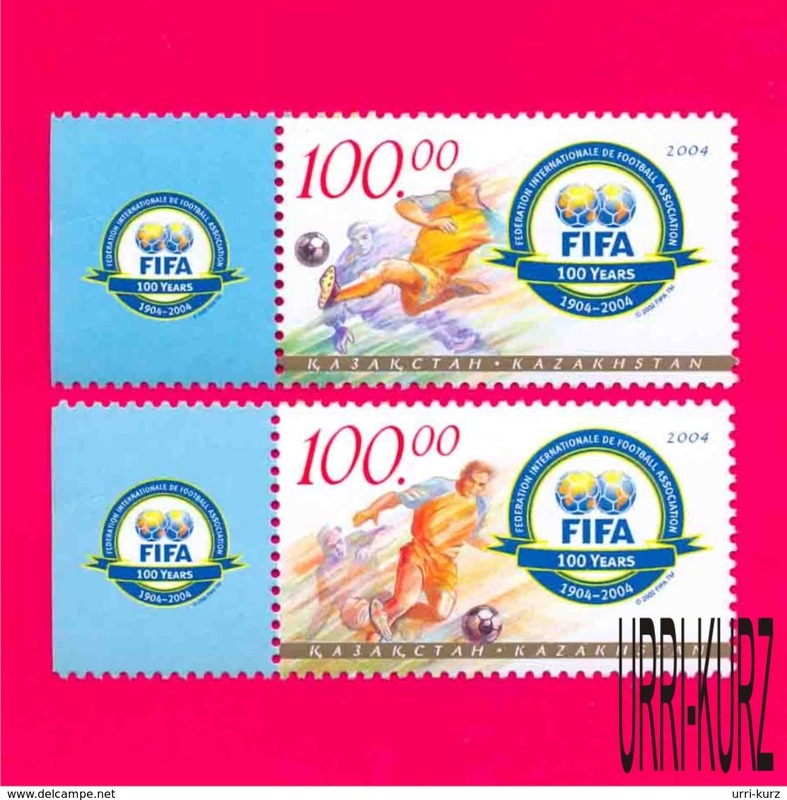 Kazakhstan 1999. Transport. 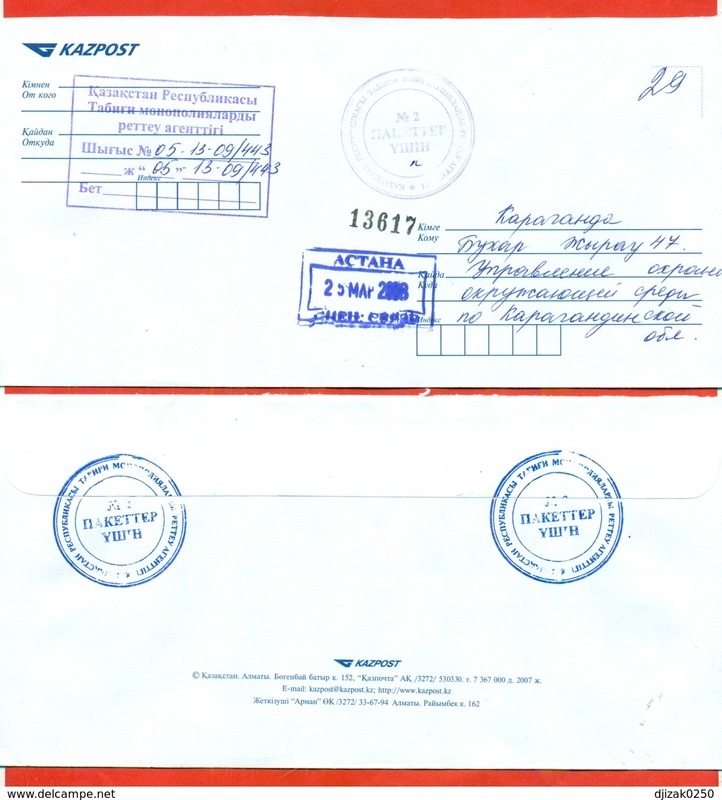 Registered envelope past the mail. 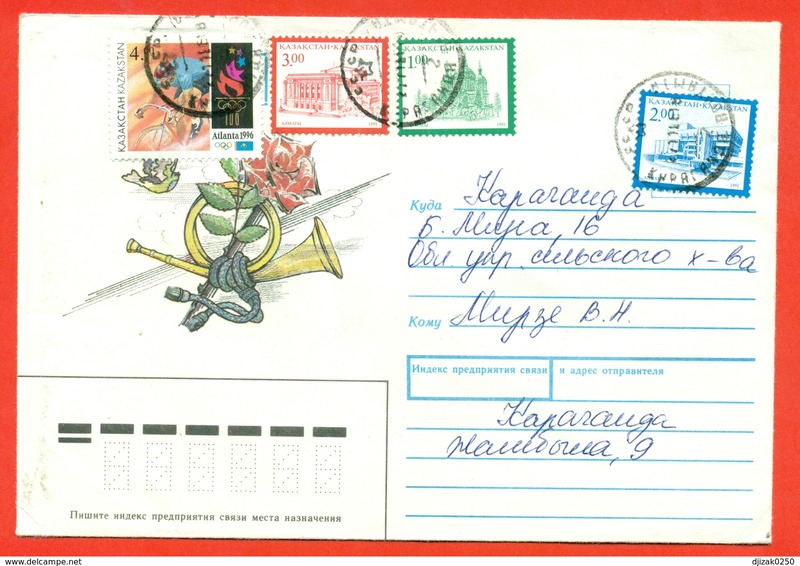 Kazakhstan 1993. 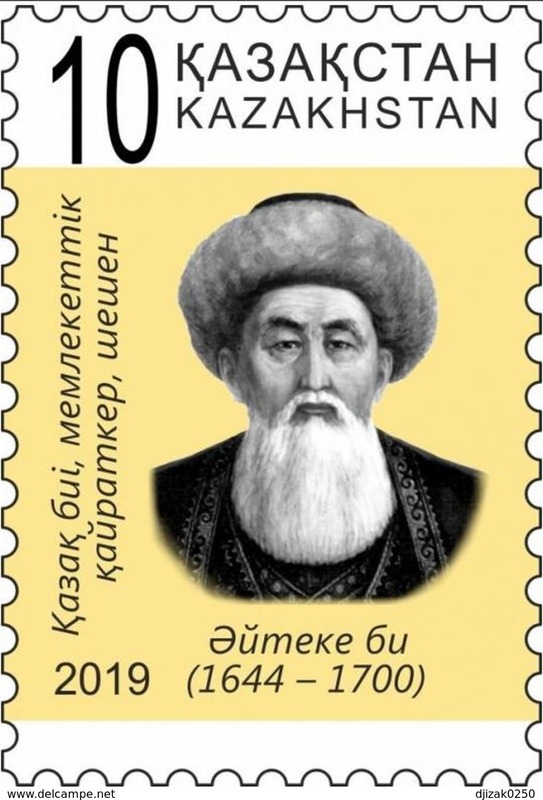 Kazakh poet. Envelope passed the mail. 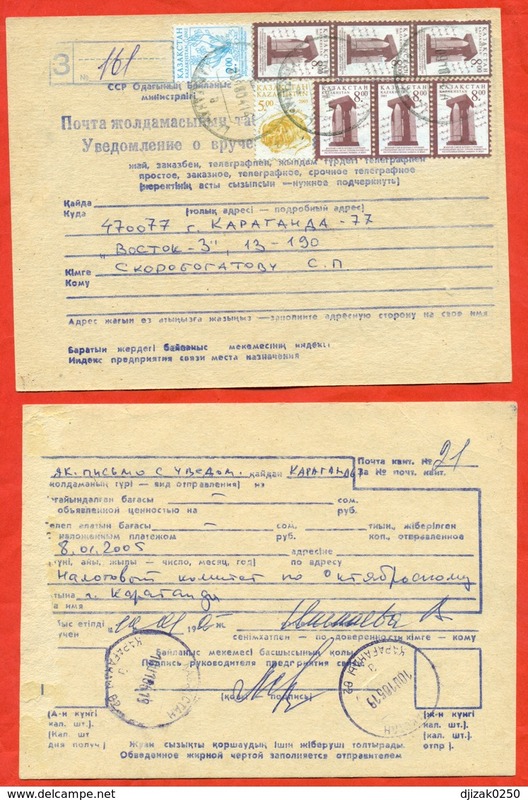 Kazakhstan 1993. Espace. Envelope passed the mail. 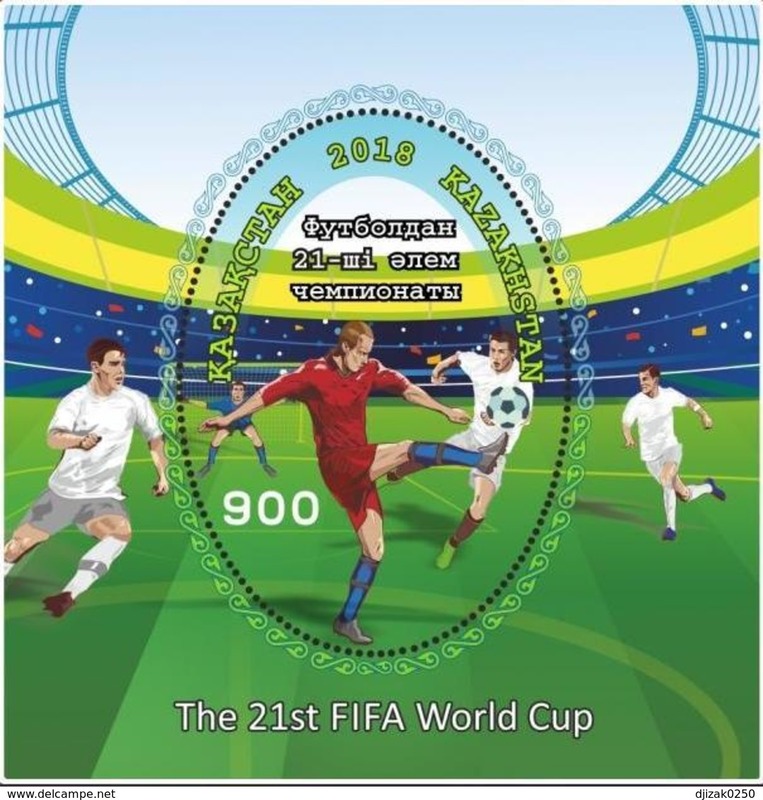 Kazakhstan 2018.Soccer World Cup 2018. FIFA. New New!! !Block.